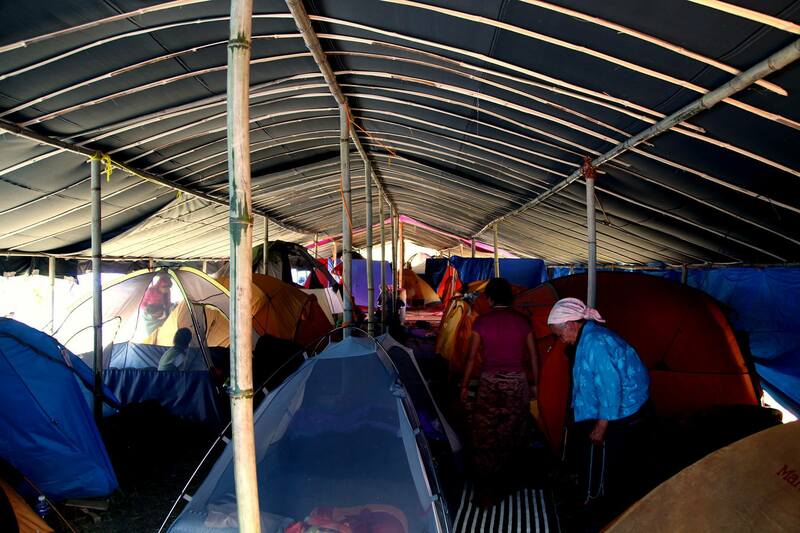 The earthquake had flattened Langtang valley; the survivors evacuated the region and sought refuge at Yellow Gumba (a temple in Kathmandu). 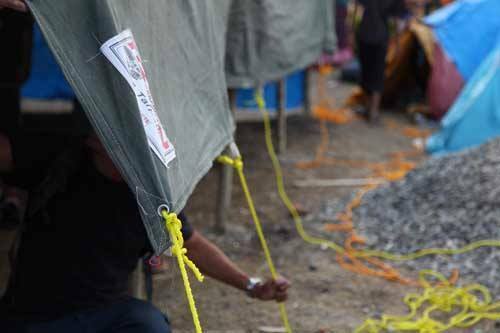 During a community meeting, the Langtang survivors expressed their need for shelter in preparation for the coming monsoon season. 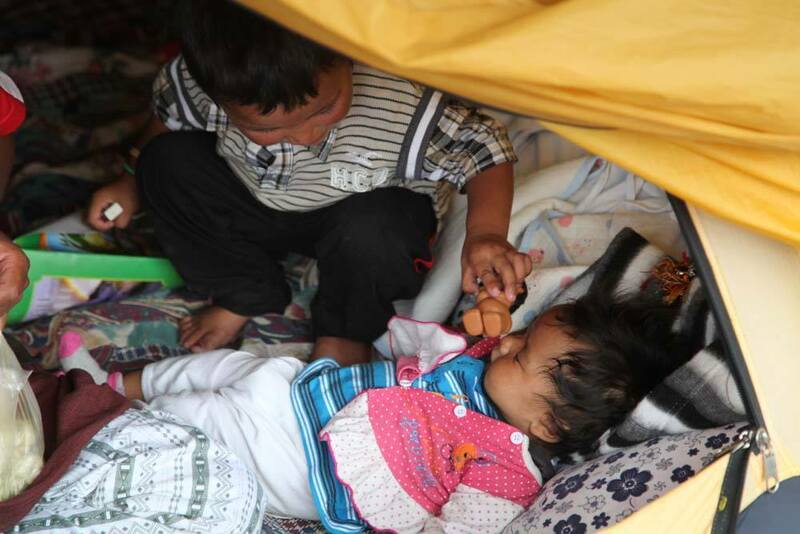 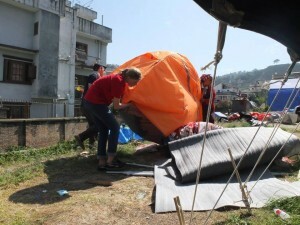 For Nepal, monsoon season meant excessive rainfall, flooding and landslides in rural areas. 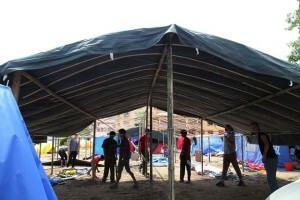 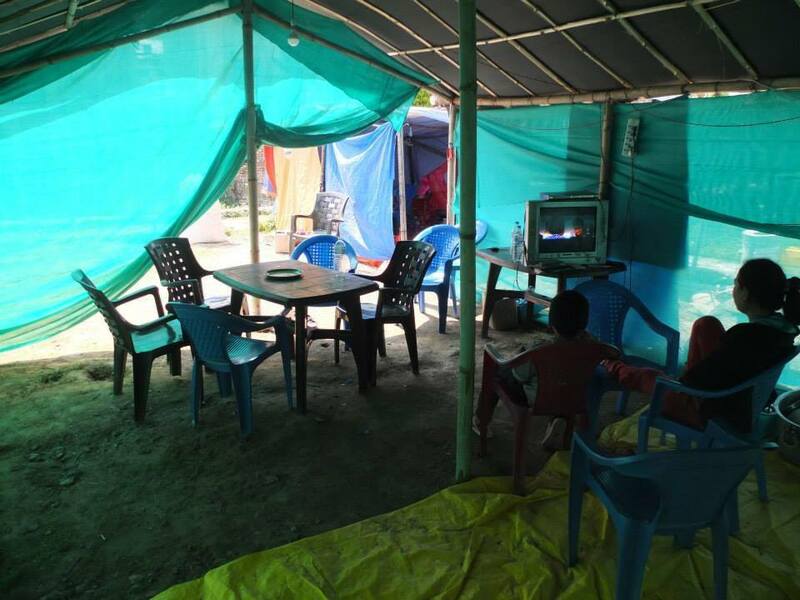 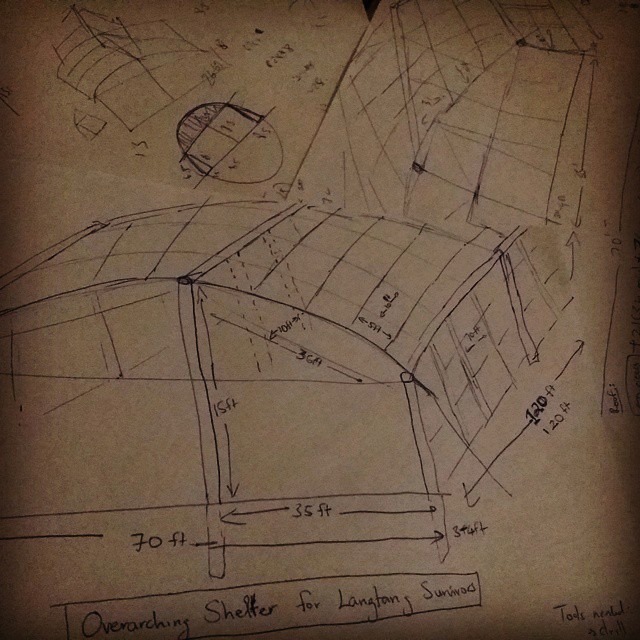 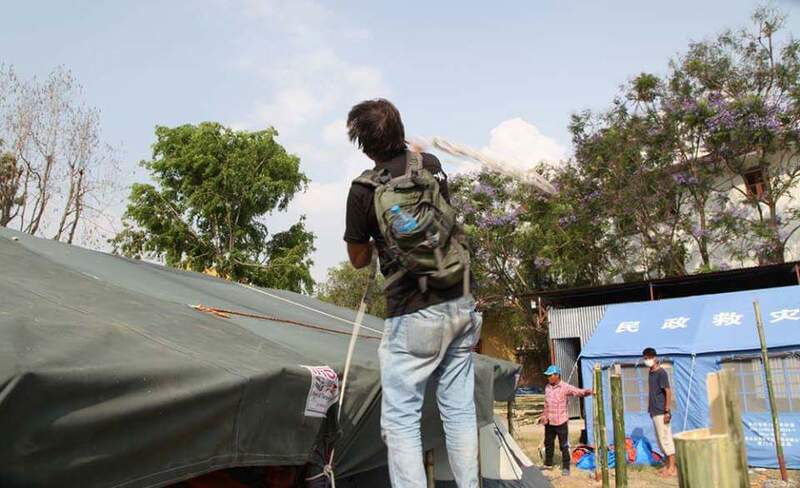 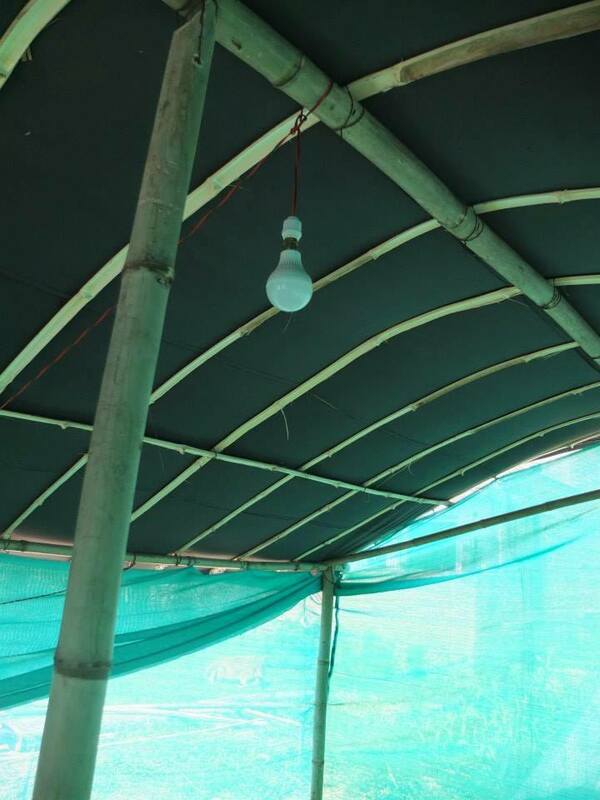 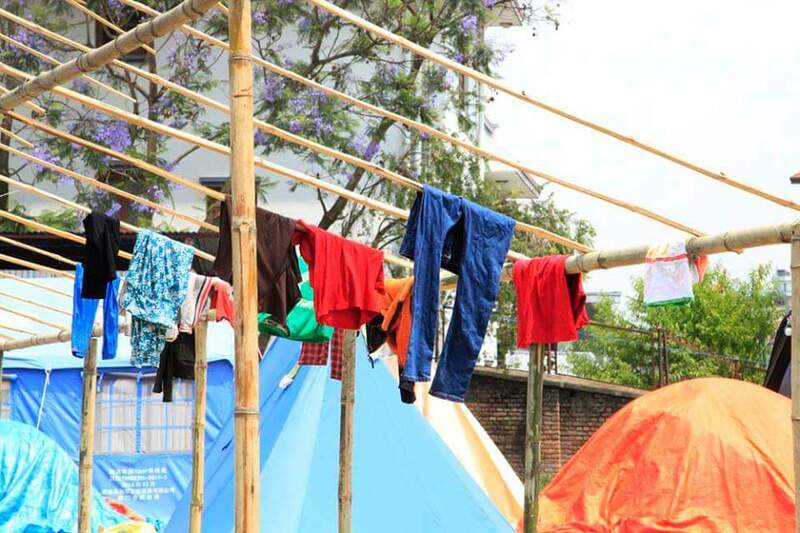 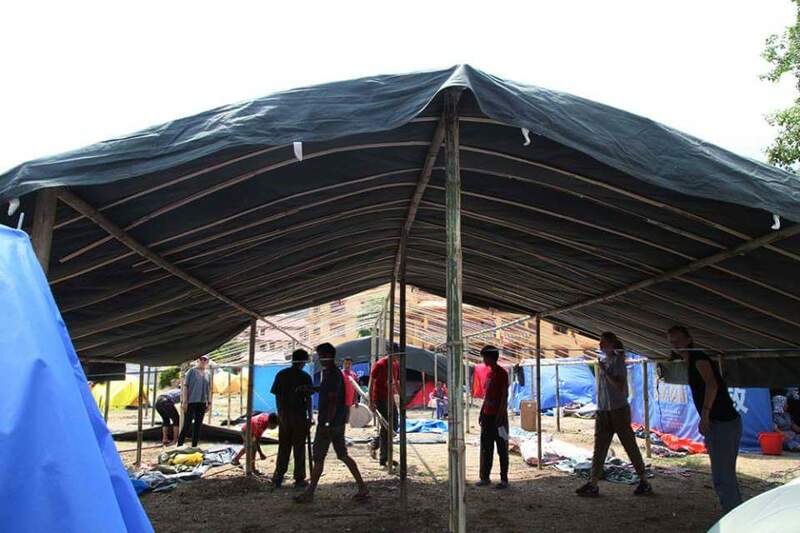 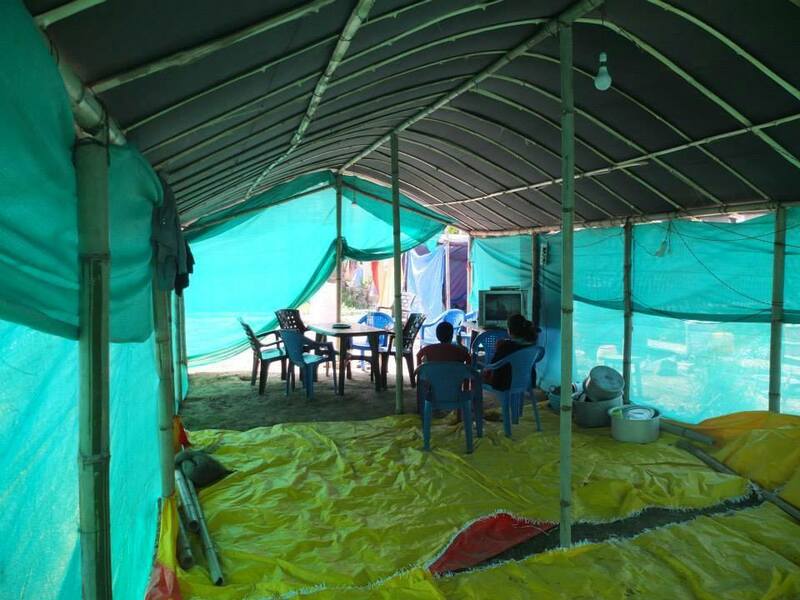 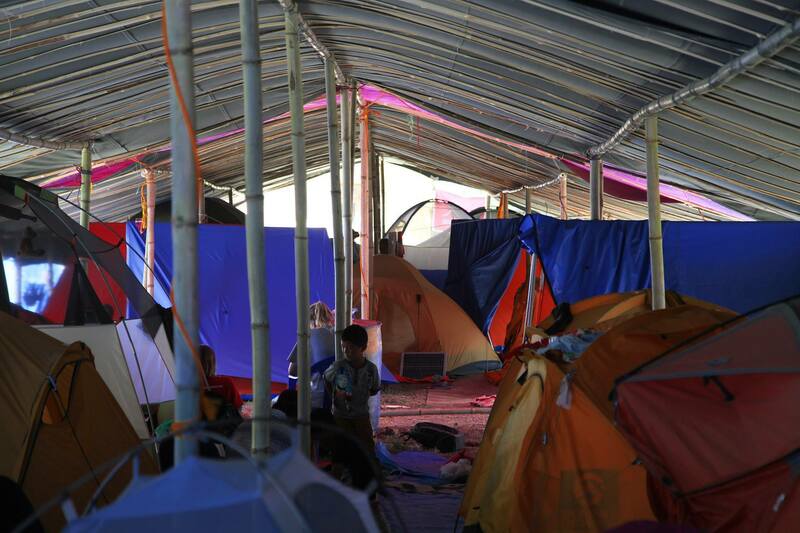 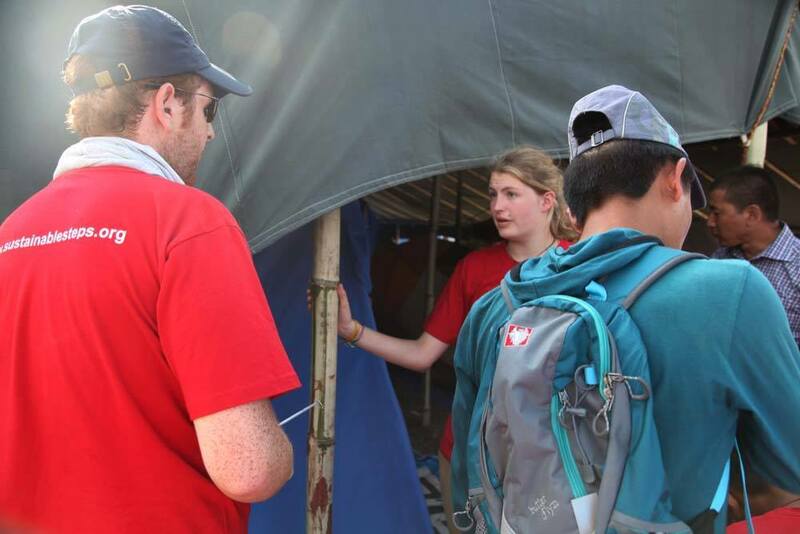 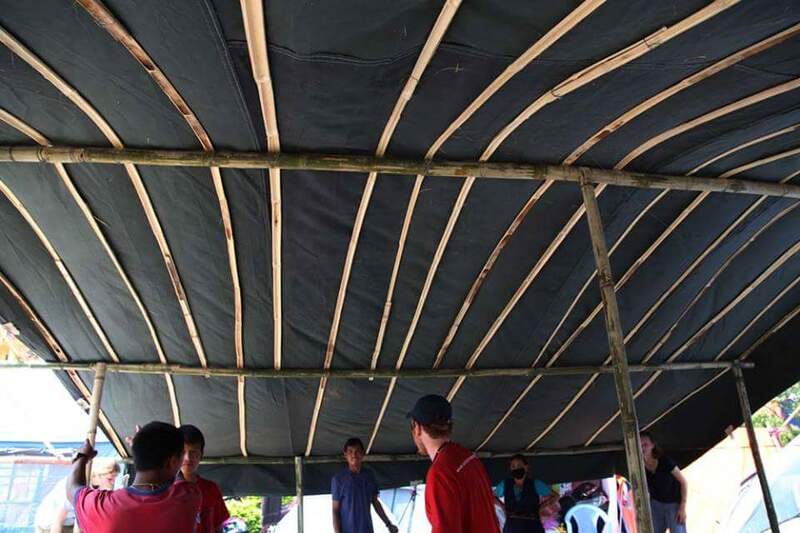 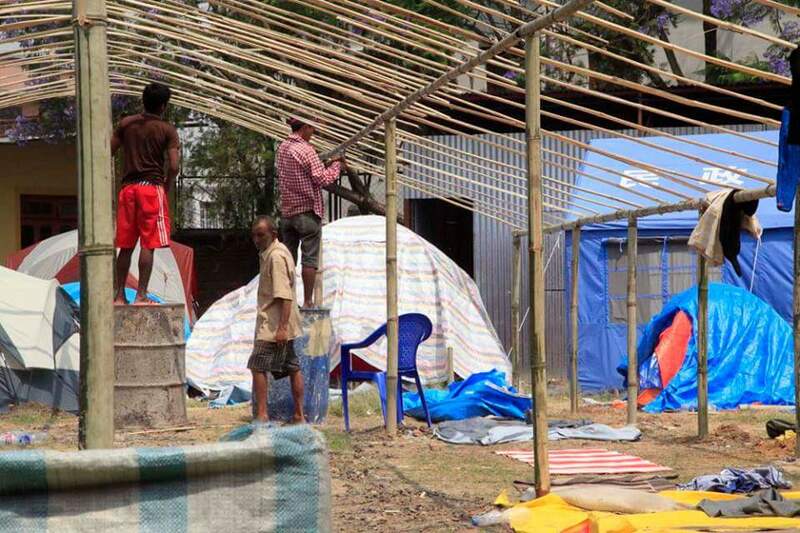 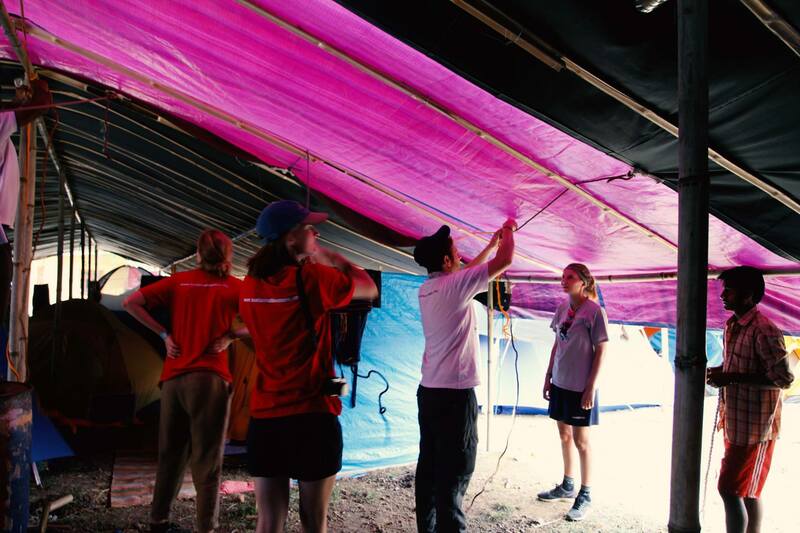 In response to the needs of the camp, we started an initiative to design and build stable shelters that could withstand the torrential rains of monsoon season. 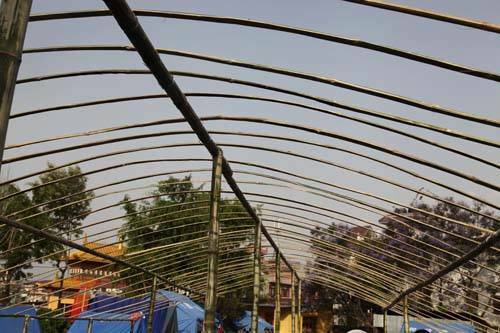 Extensive research was done to develop a design that would be resistant to strong winds and harsh monsoons. 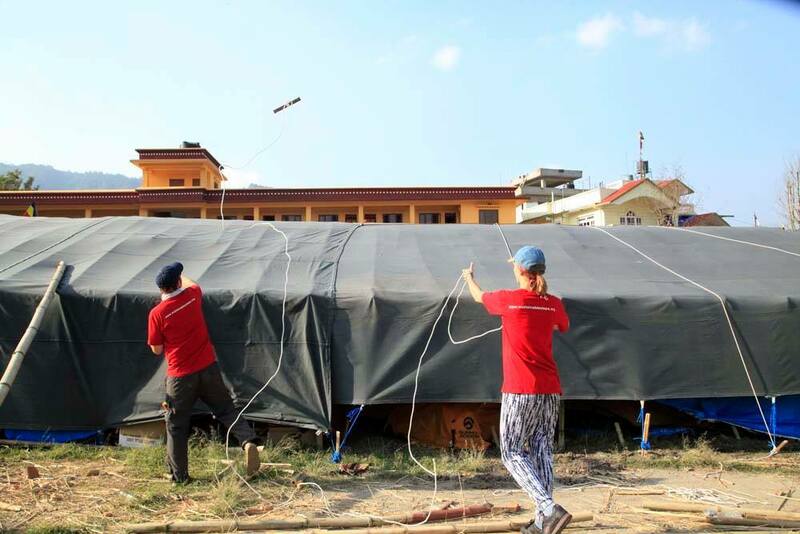 High quality building materials were sourced with the intention that the shelter would last a minimum of 6 months, which was the estimated amount of time the villagers needed to stay at the camp before they could return to the Valley and rebuild. 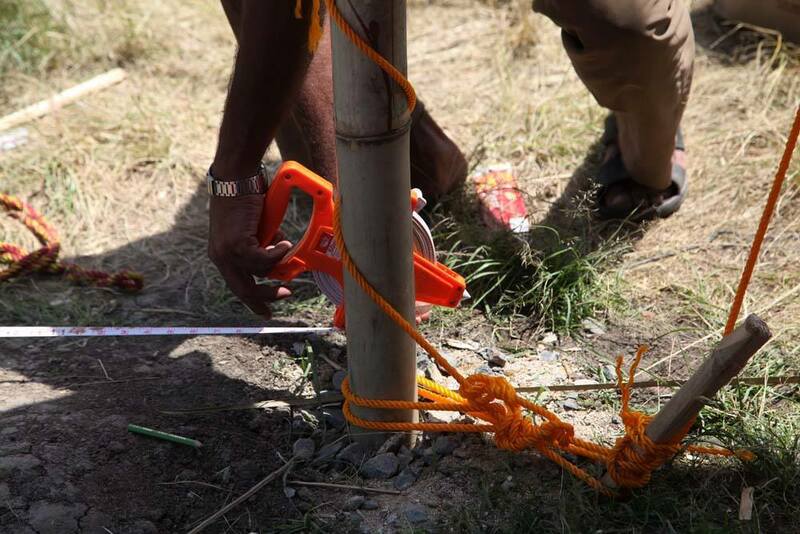 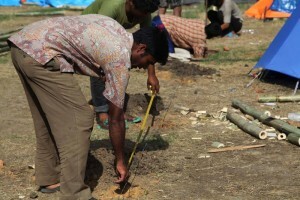 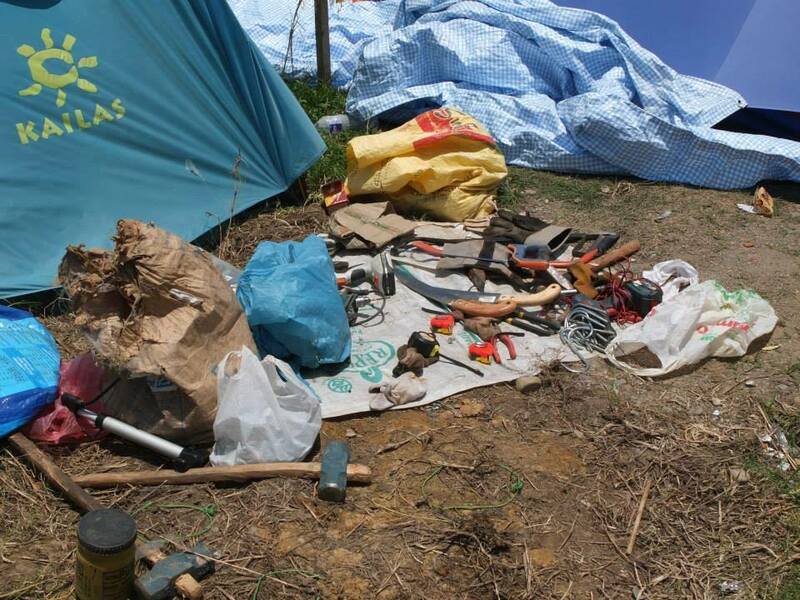 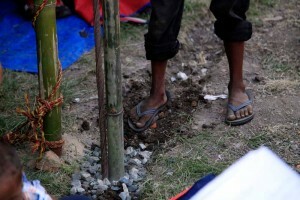 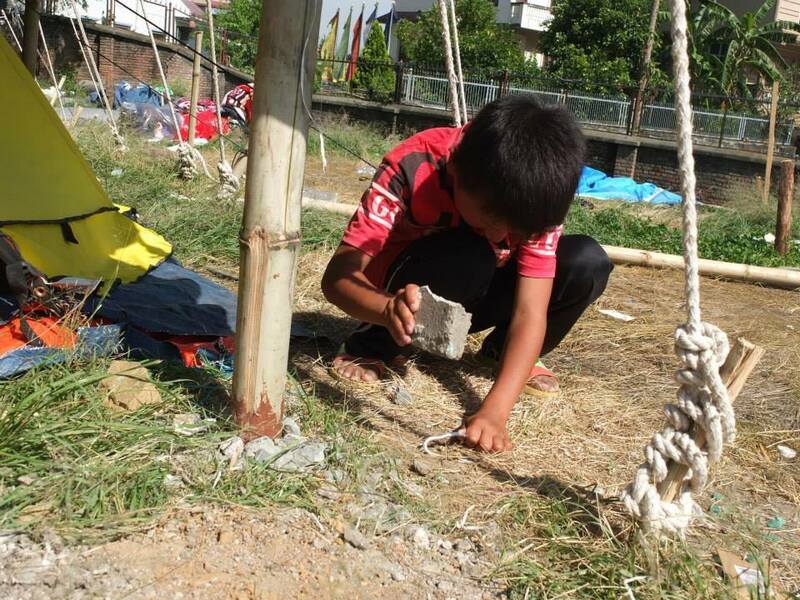 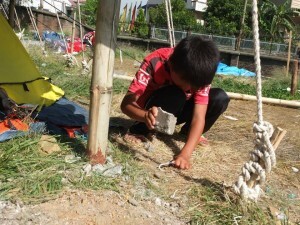 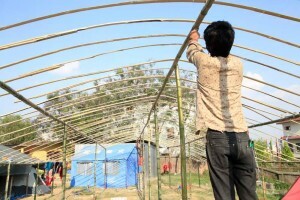 With the help of some villagers, Sustainable Steps built 4 shelters within 2 weeks! 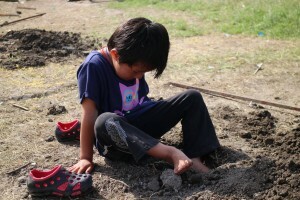 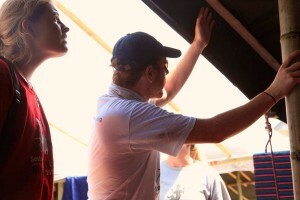 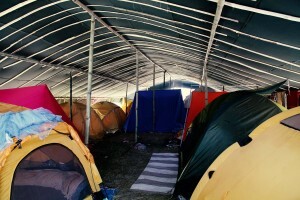 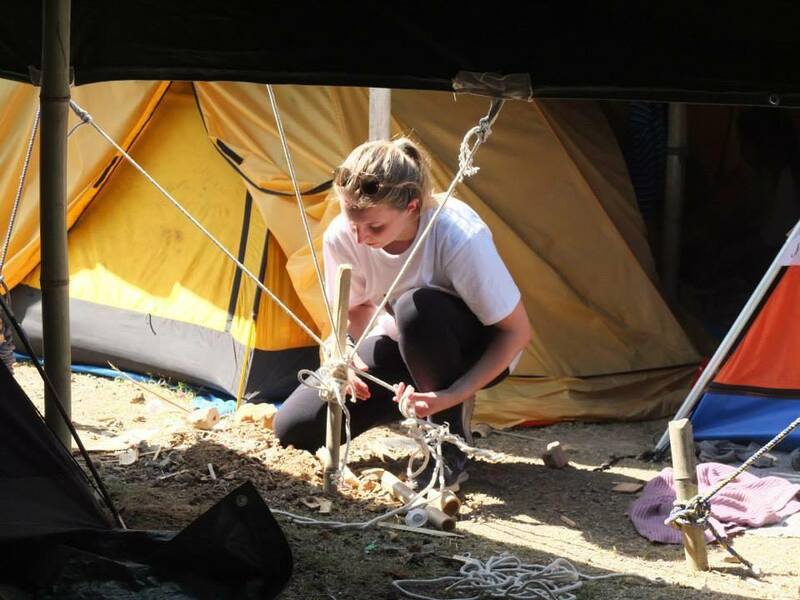 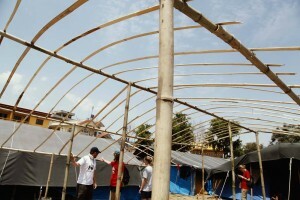 Stay tuned for more related projects in the future, as we will be helping other camps build similar shelters. 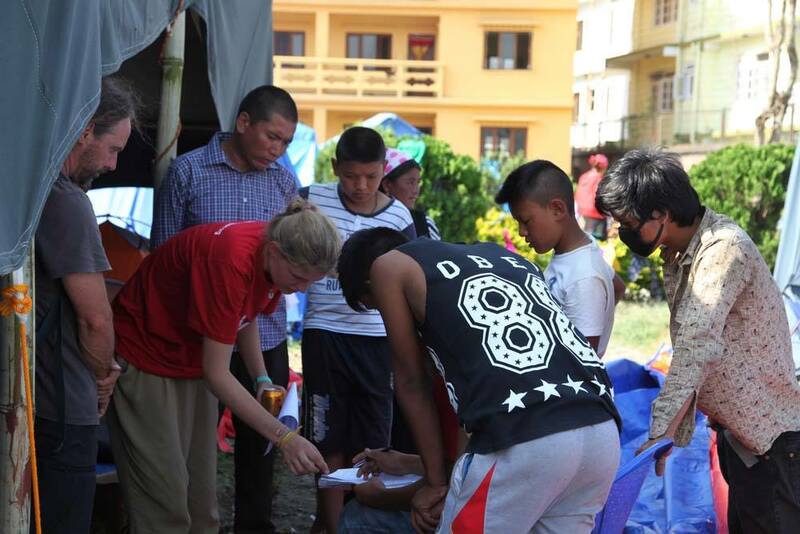 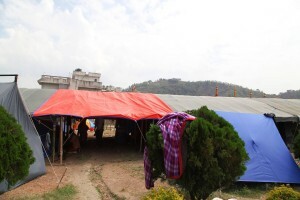 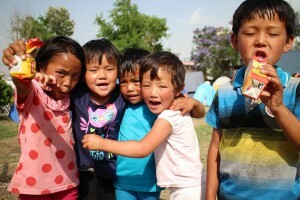 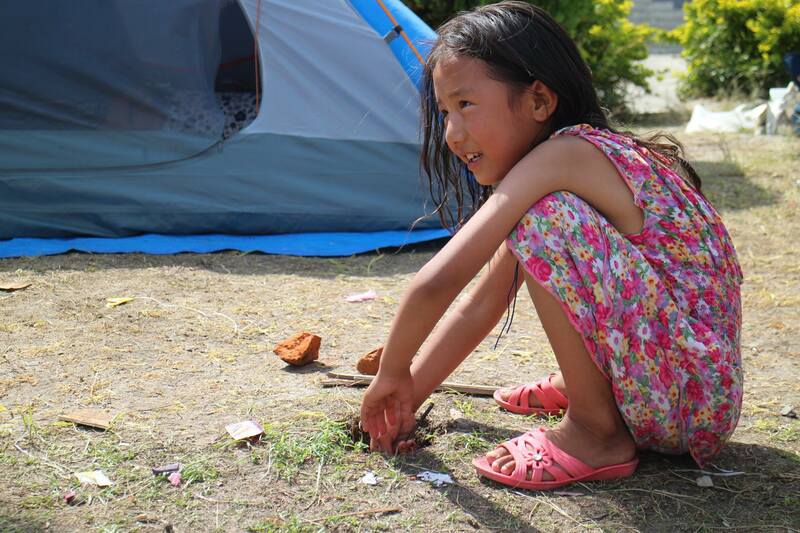 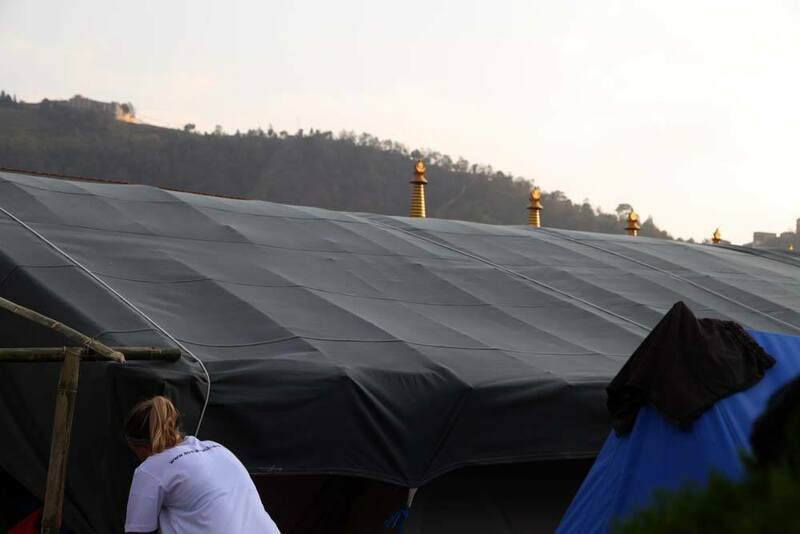 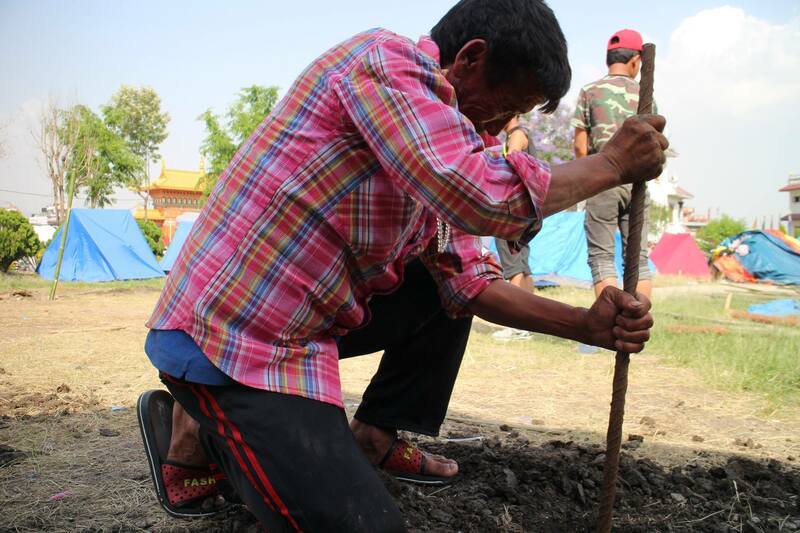 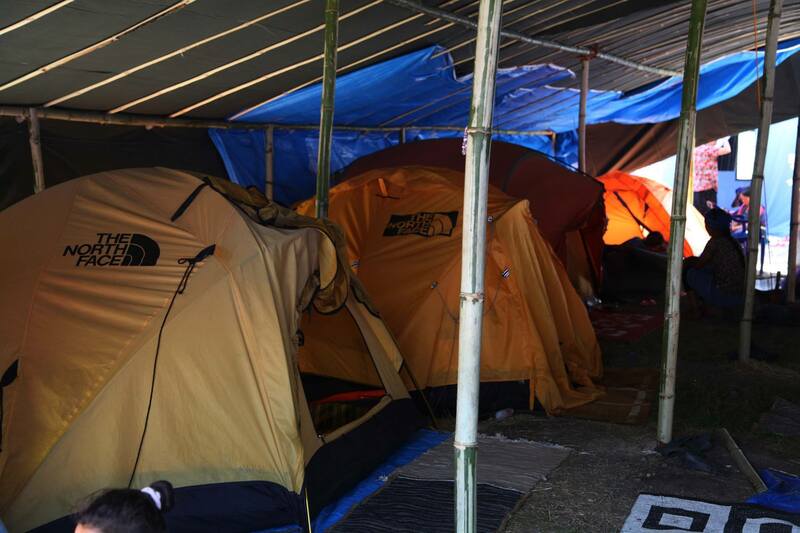 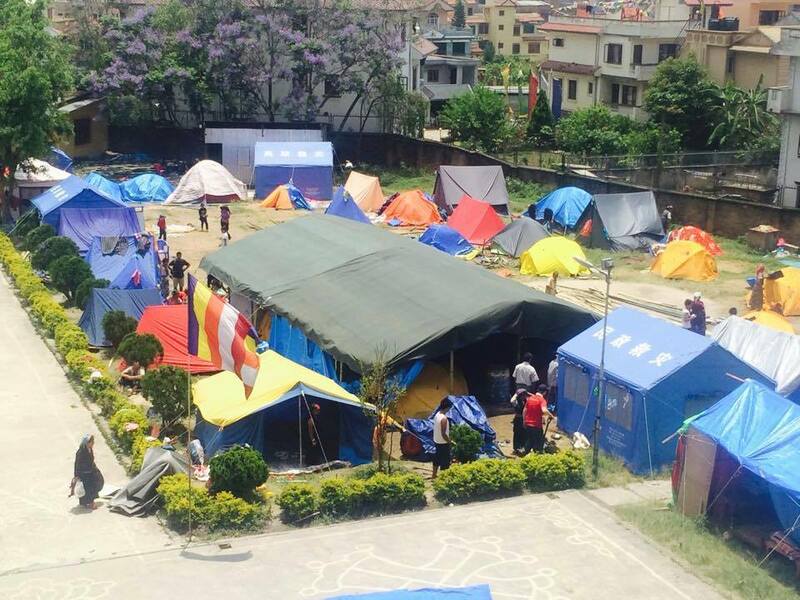 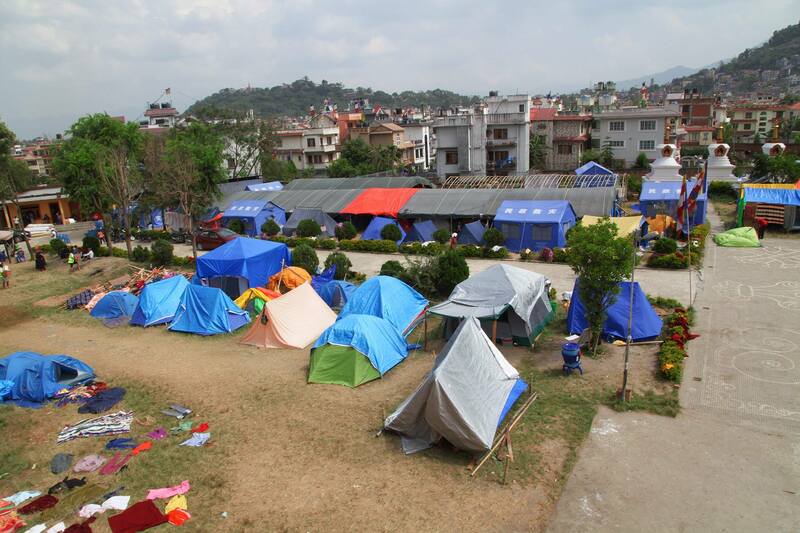 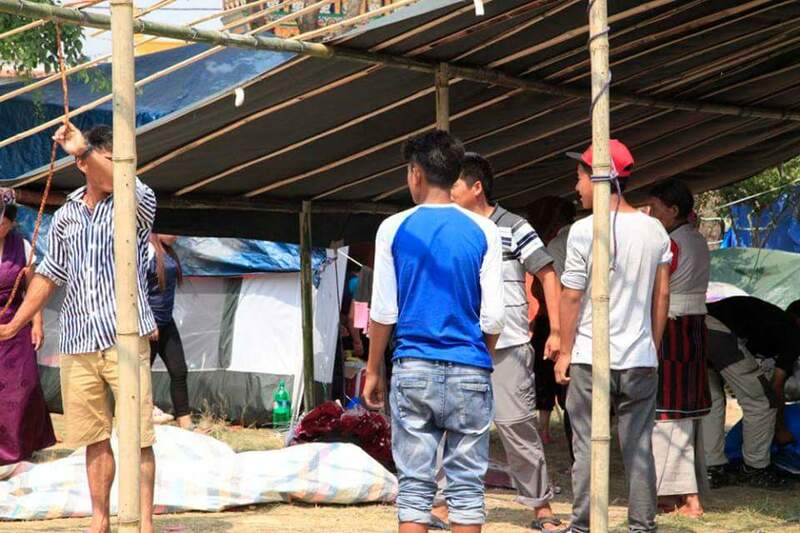 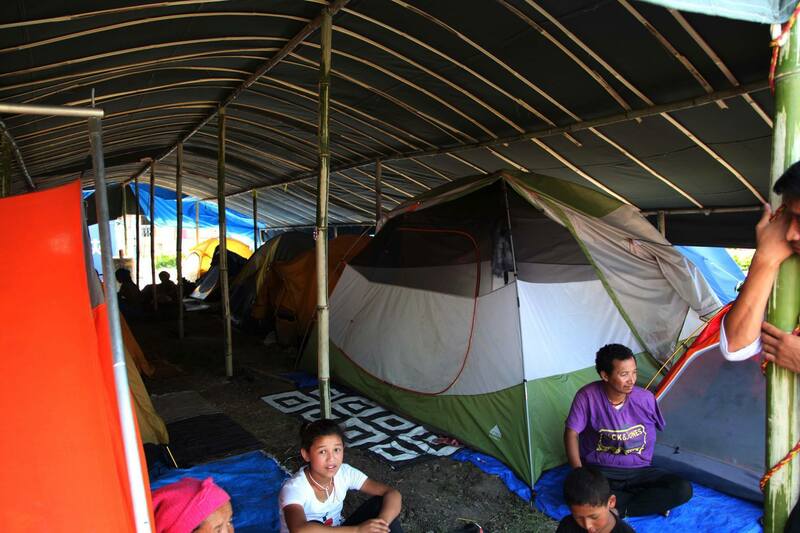 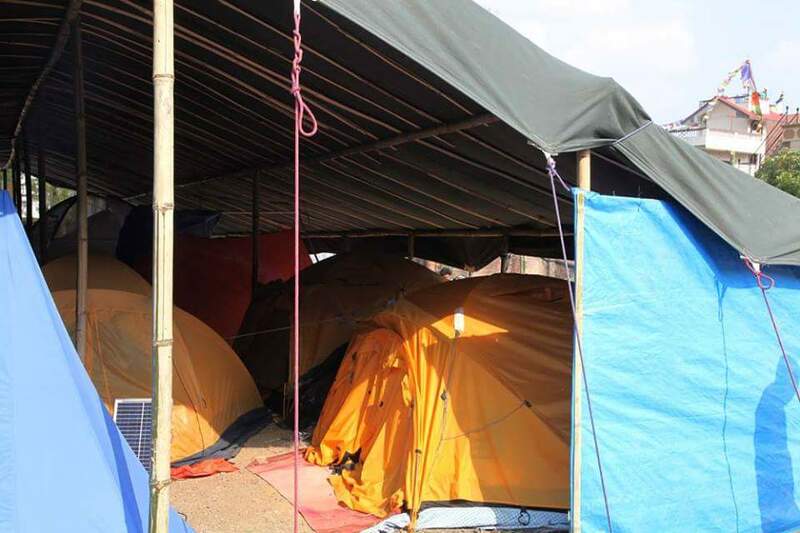 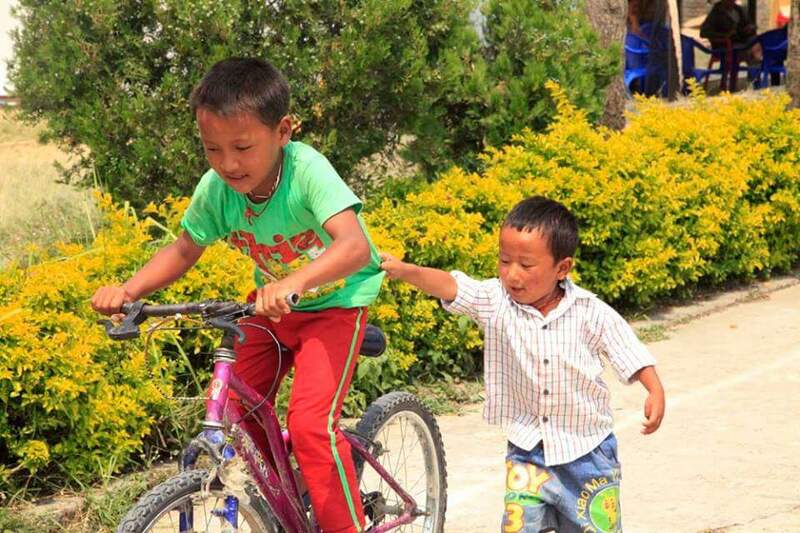 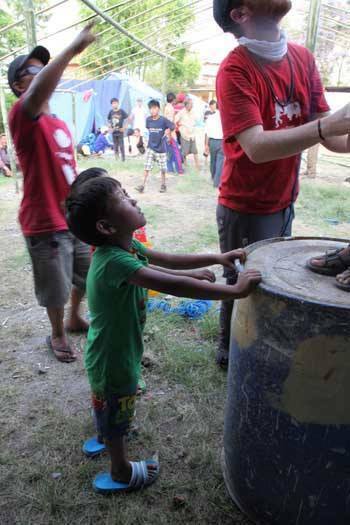 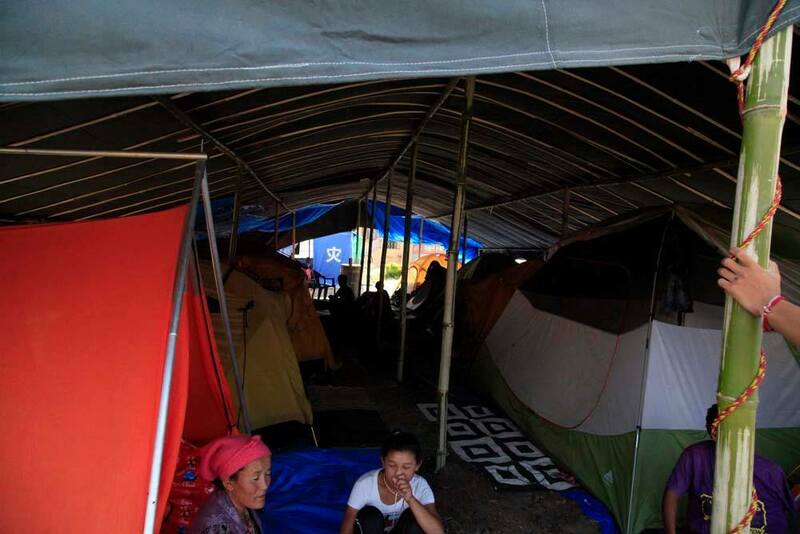 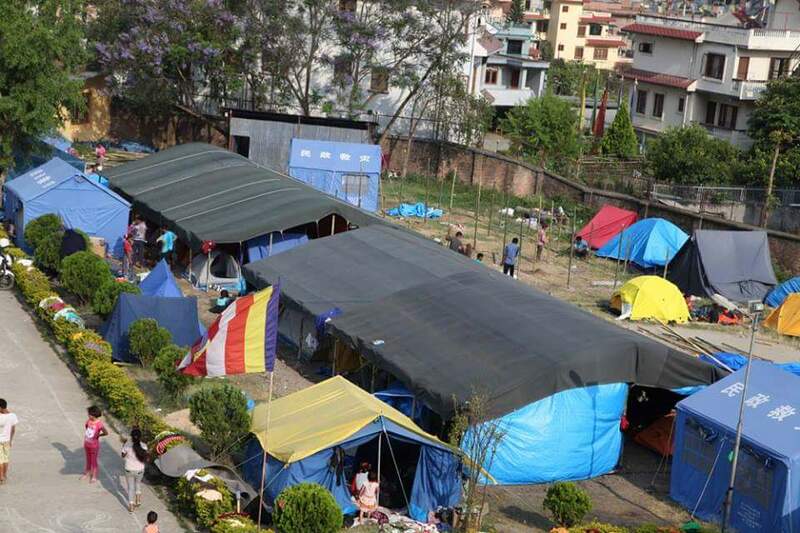 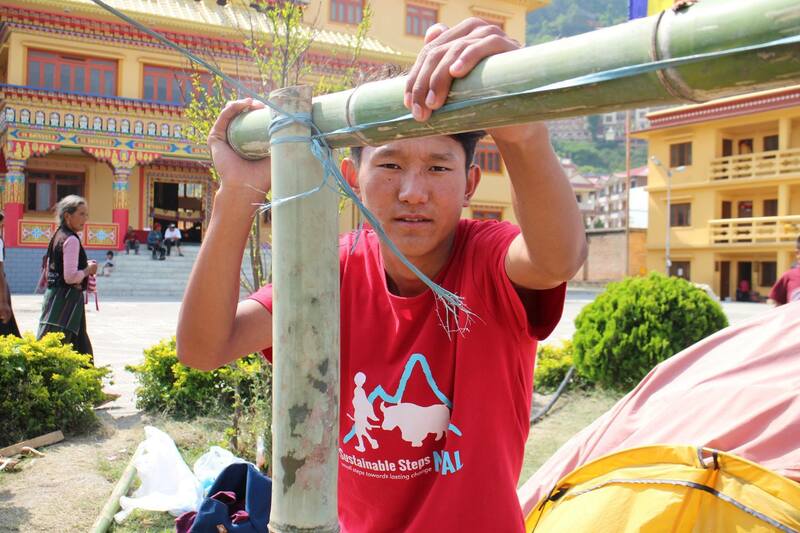 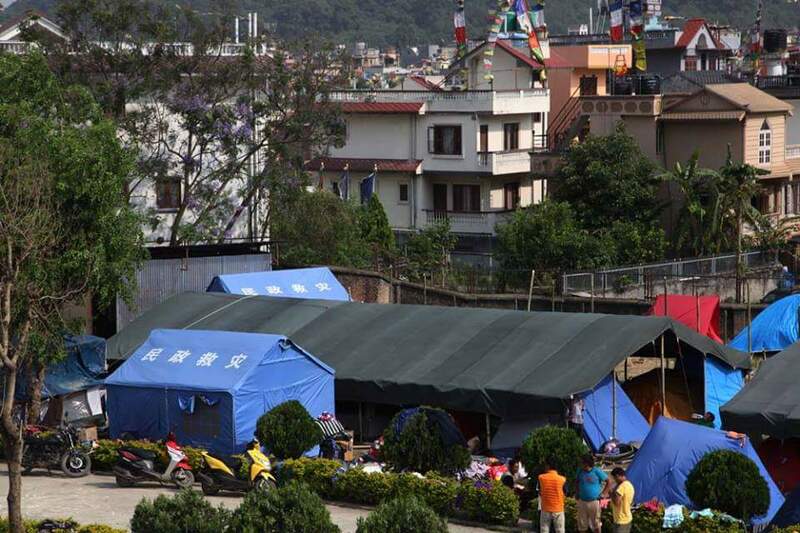 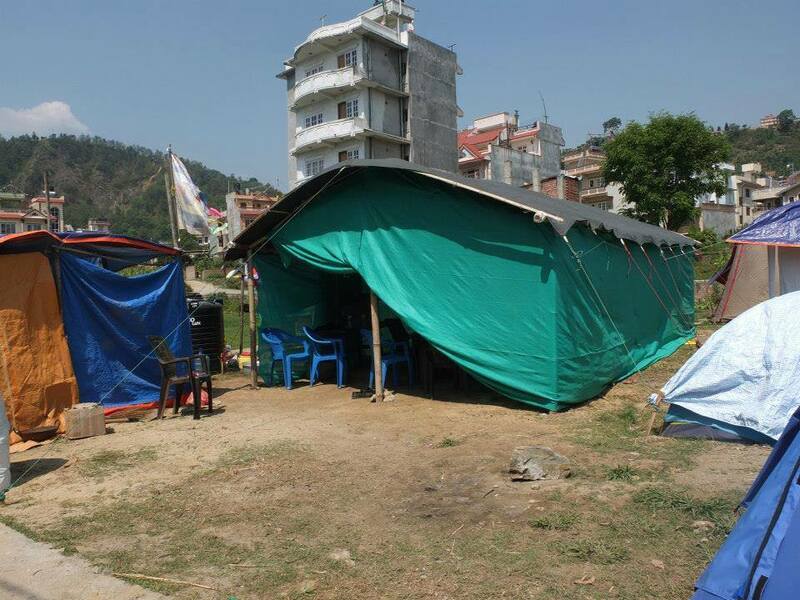 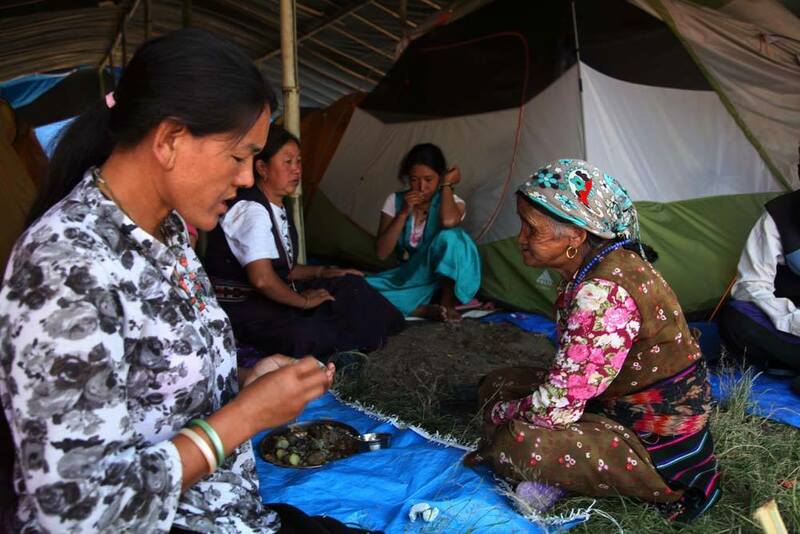 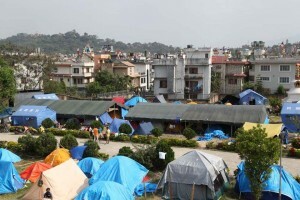 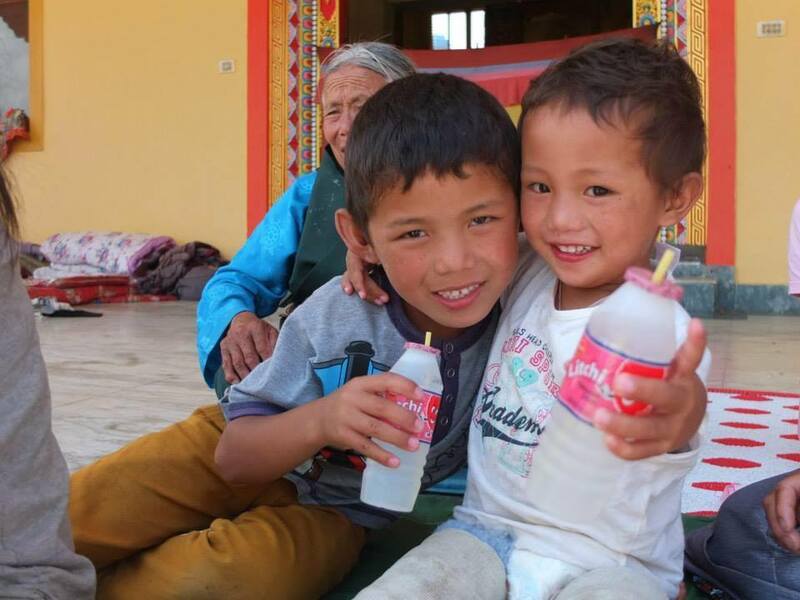 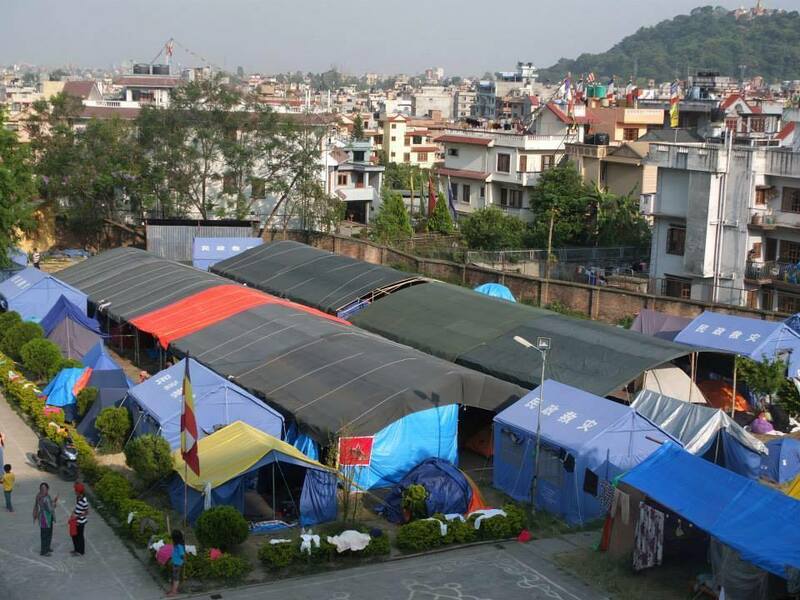 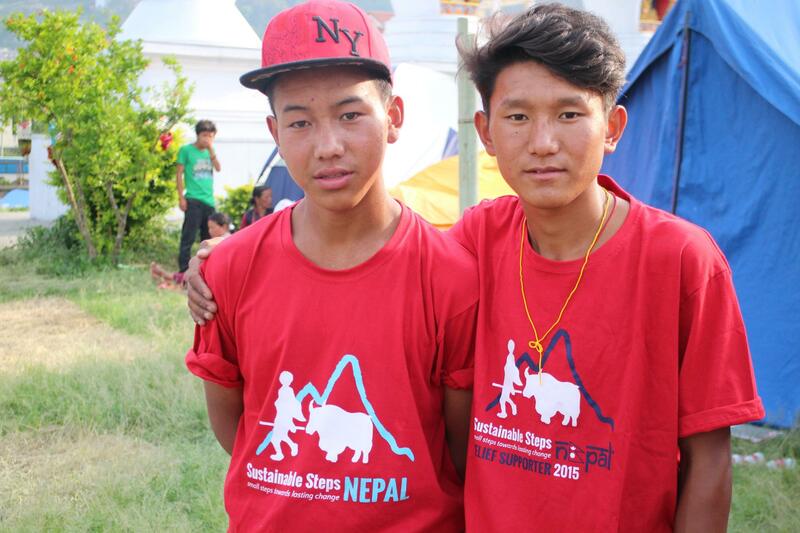 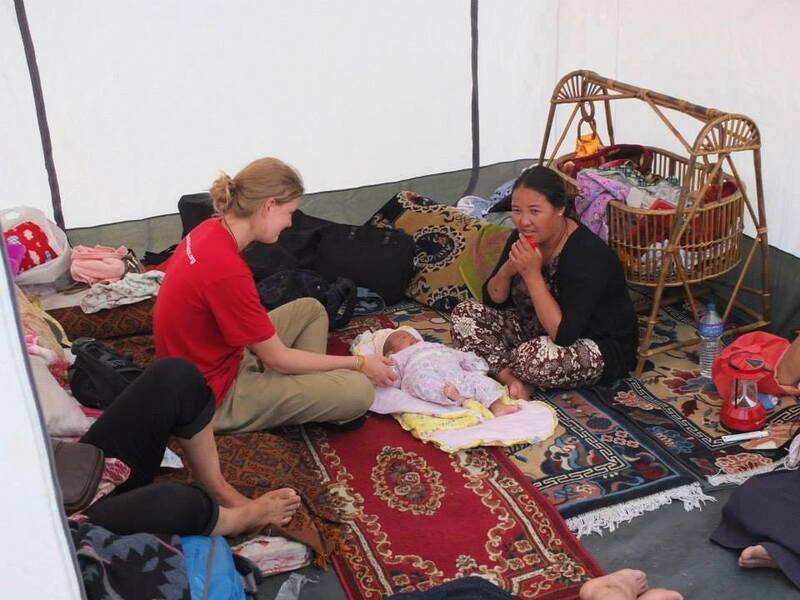 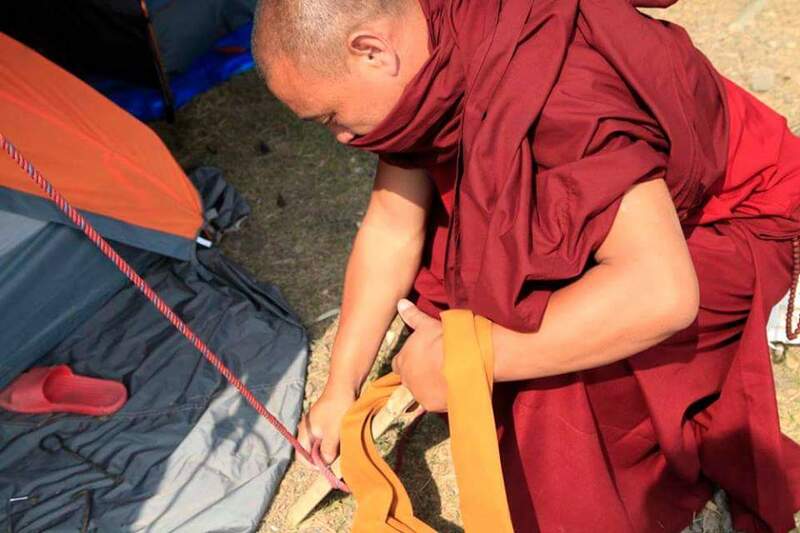 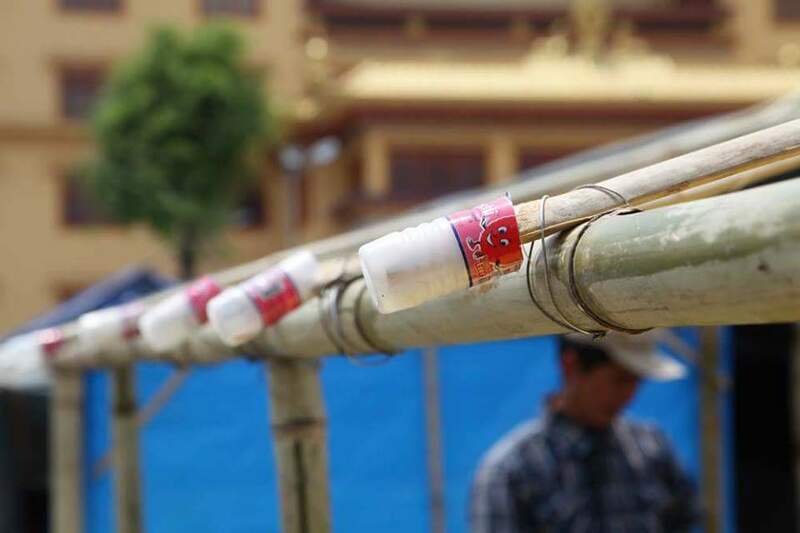 In the first two weeks of June, Sustainable Steps Nepal provided support for Kyamjin evacuees, who were staying at a camp site near the Yellow Gompa. Kyamjin suffered significant damage from the earthquakes, with most buildings and the school that served 9 settlements flattened. 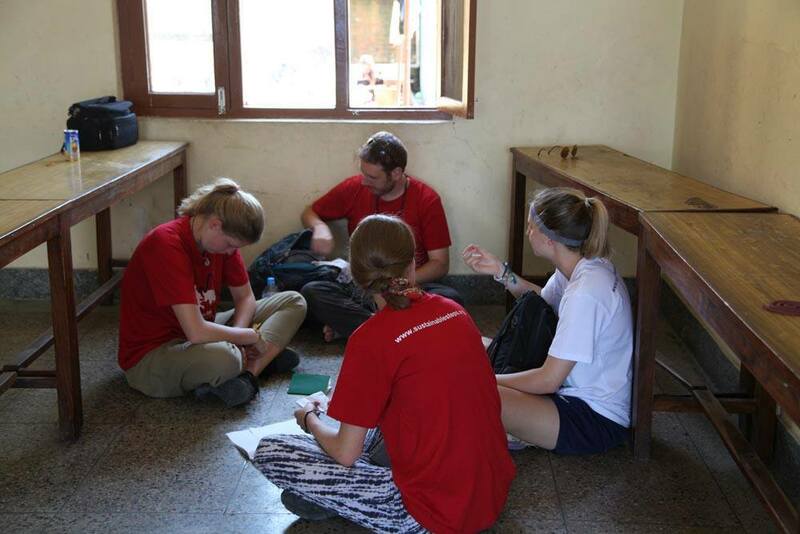 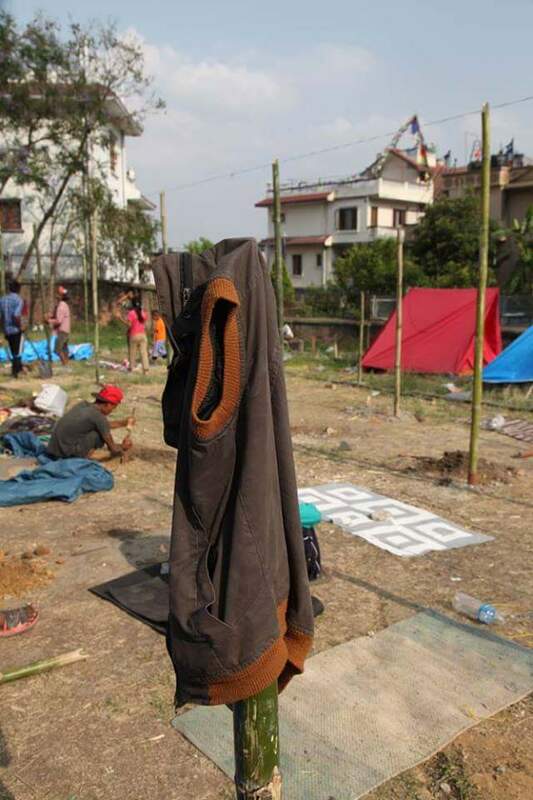 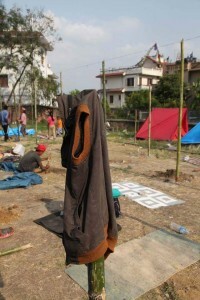 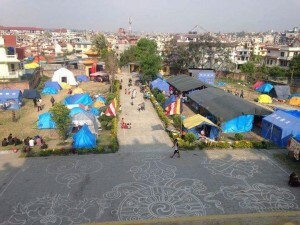 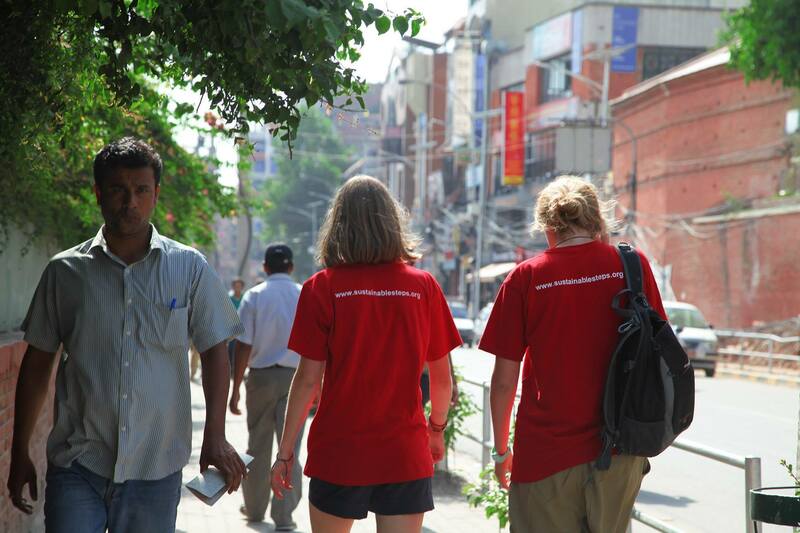 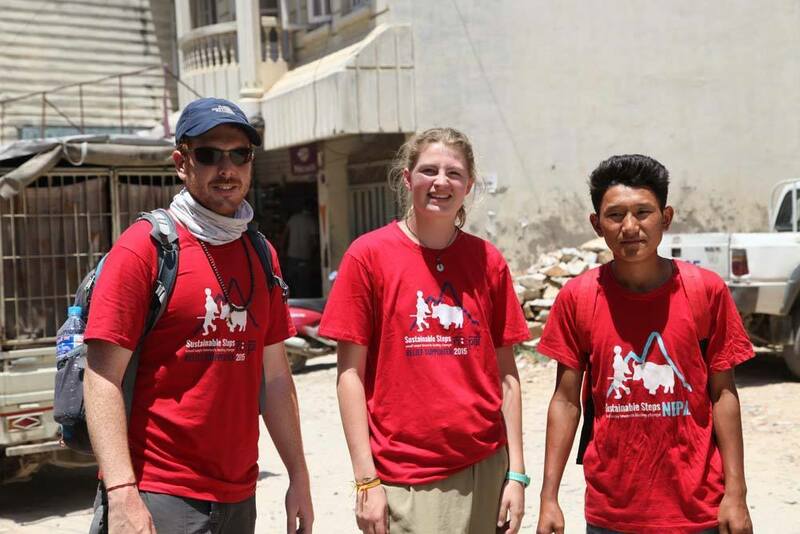 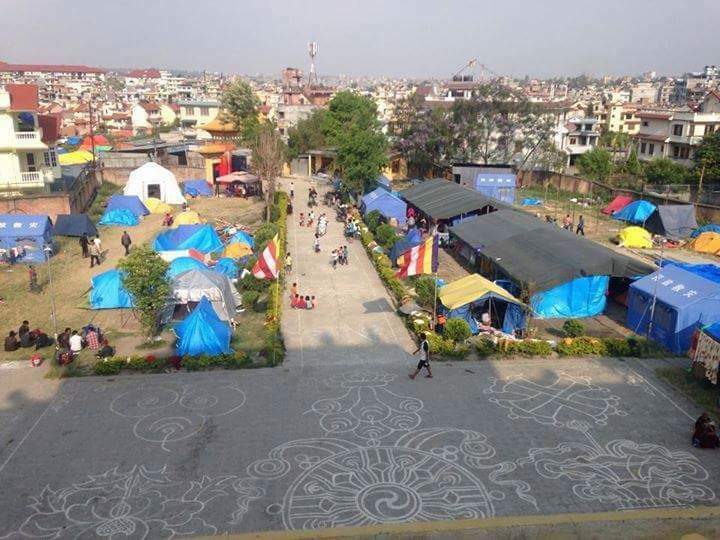 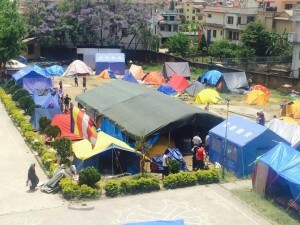 Those who left Kyamjin spent two days walking to Kalikastan, where they were able to get a jeep to Kathmandu with the hope that they would receive some help. 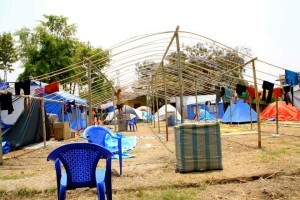 This camp site in Namgal Chowk is the only place where Kyamjin residents are staying. 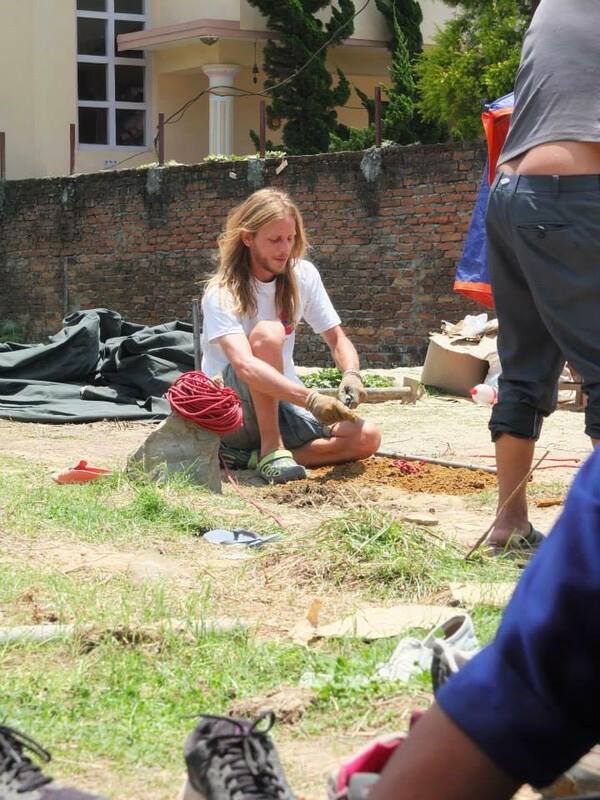 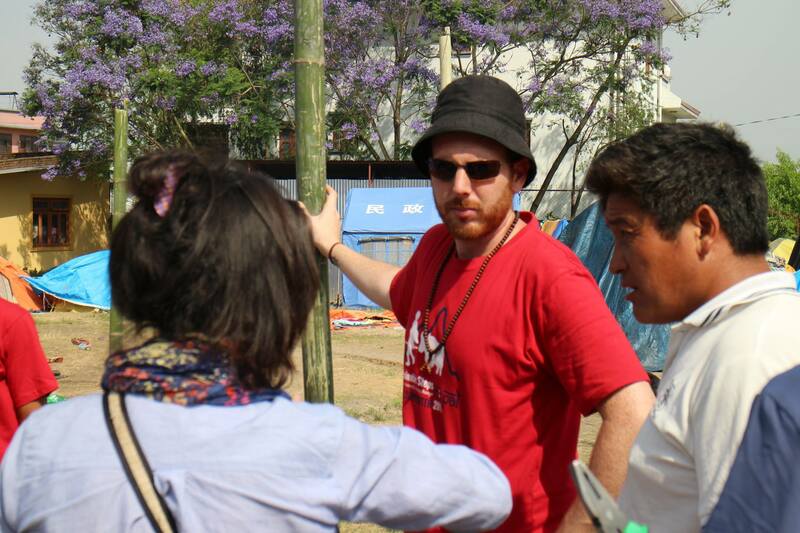 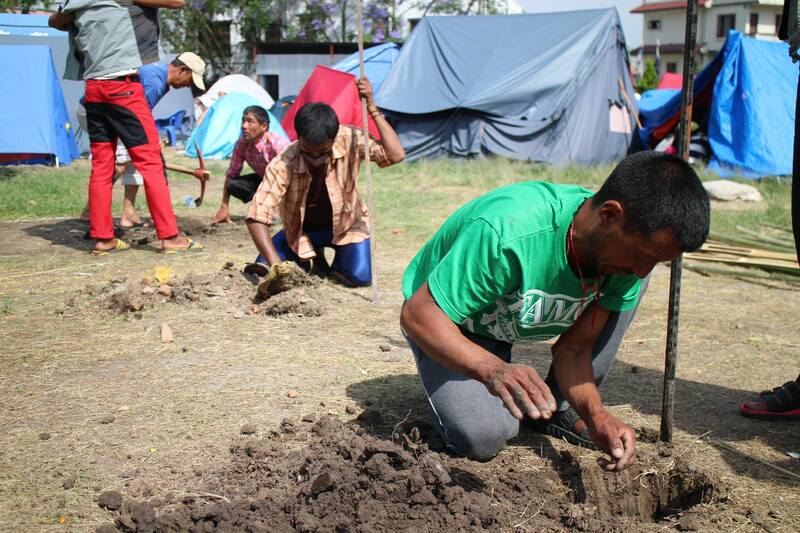 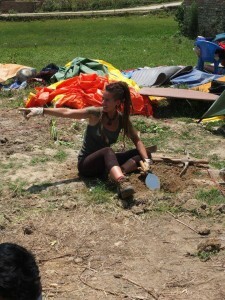 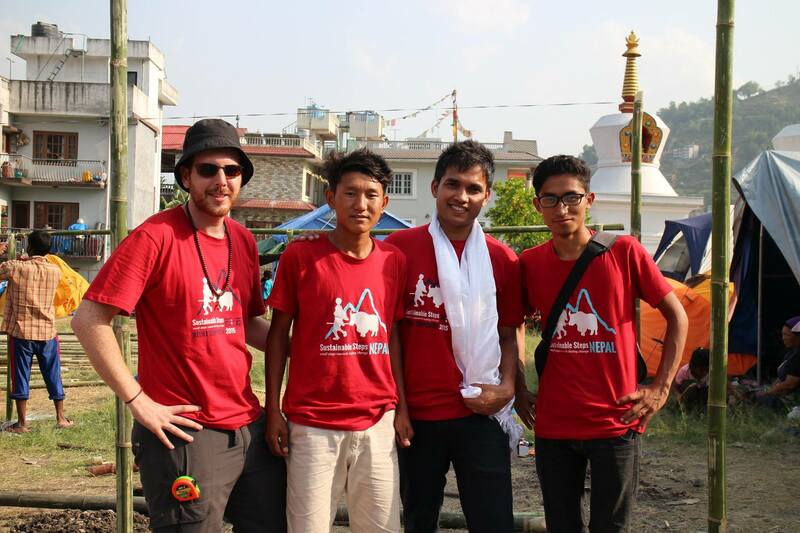 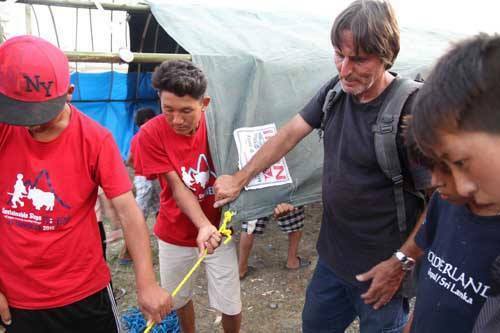 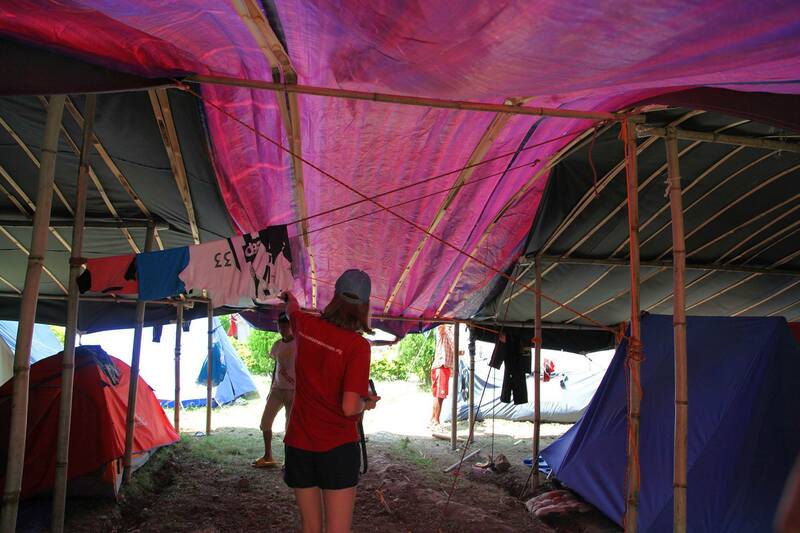 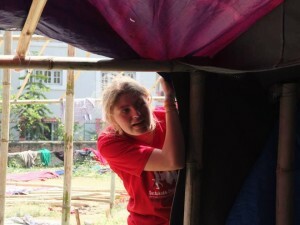 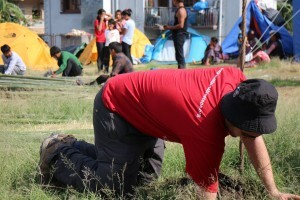 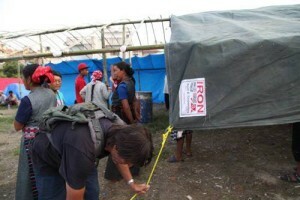 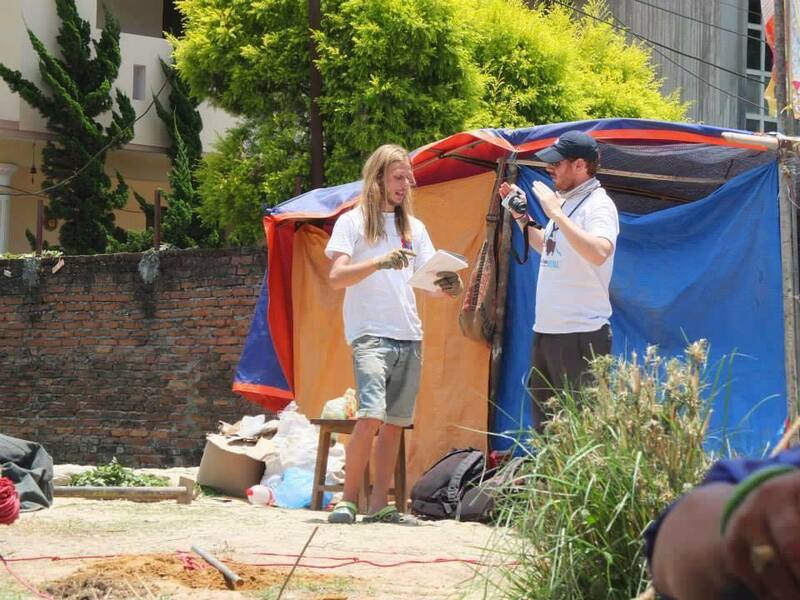 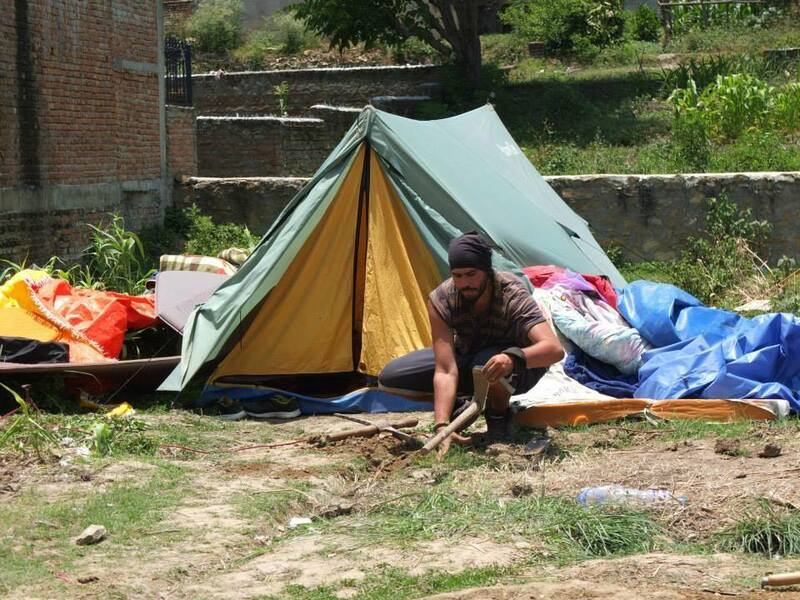 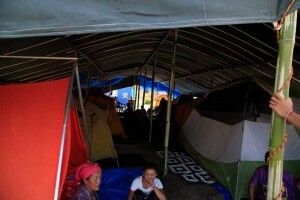 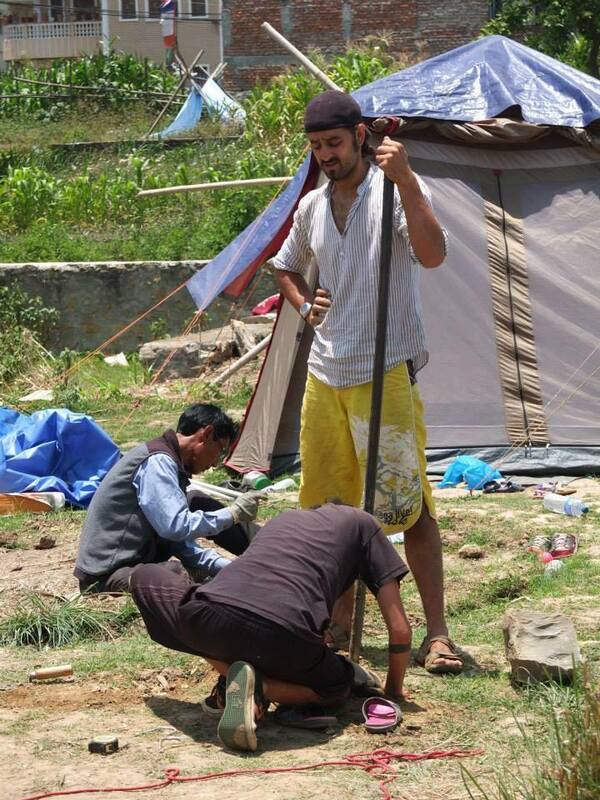 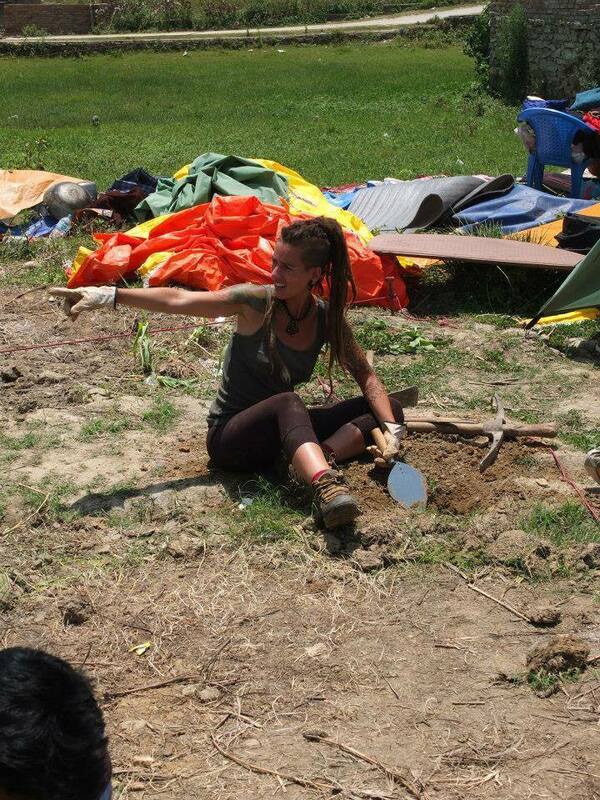 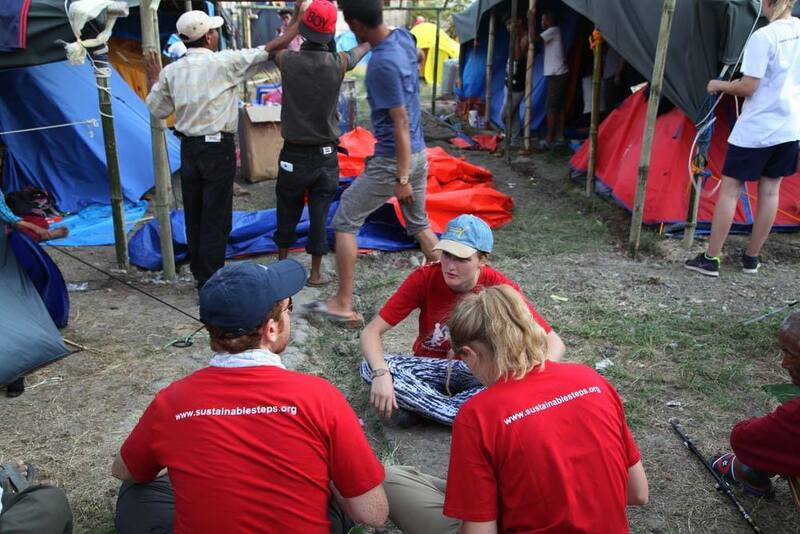 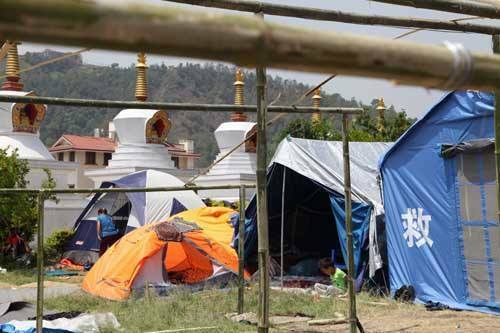 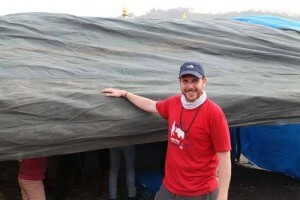 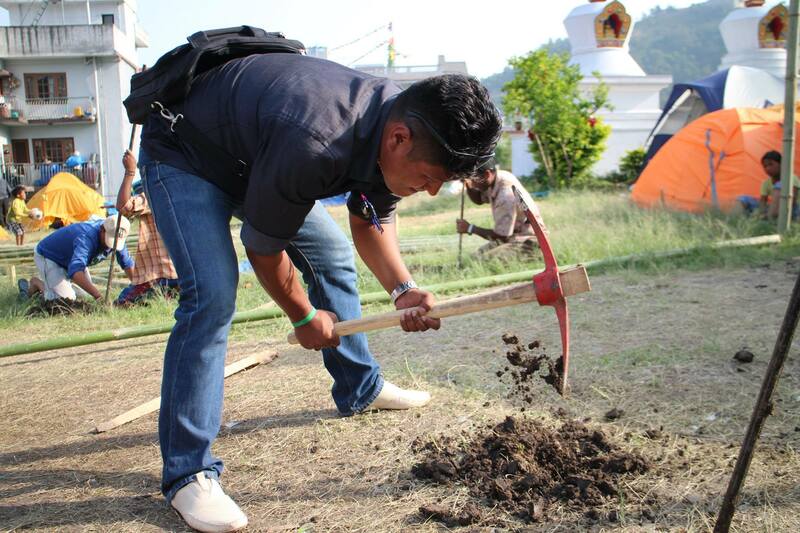 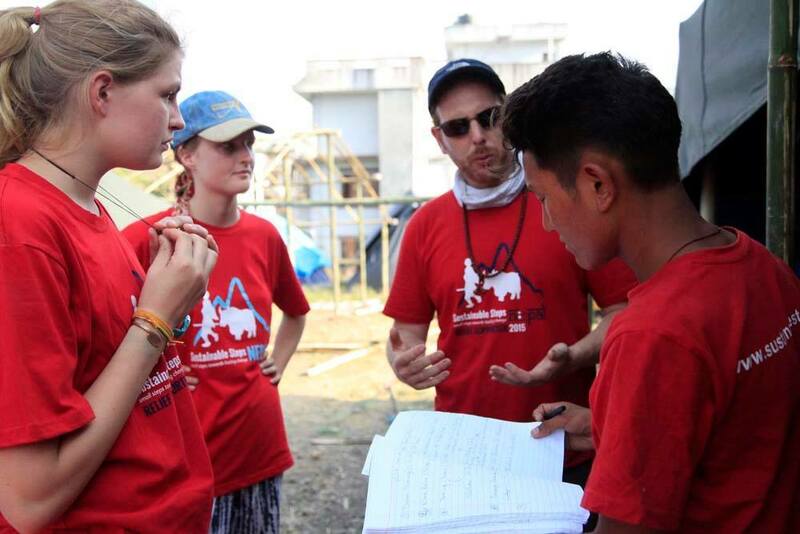 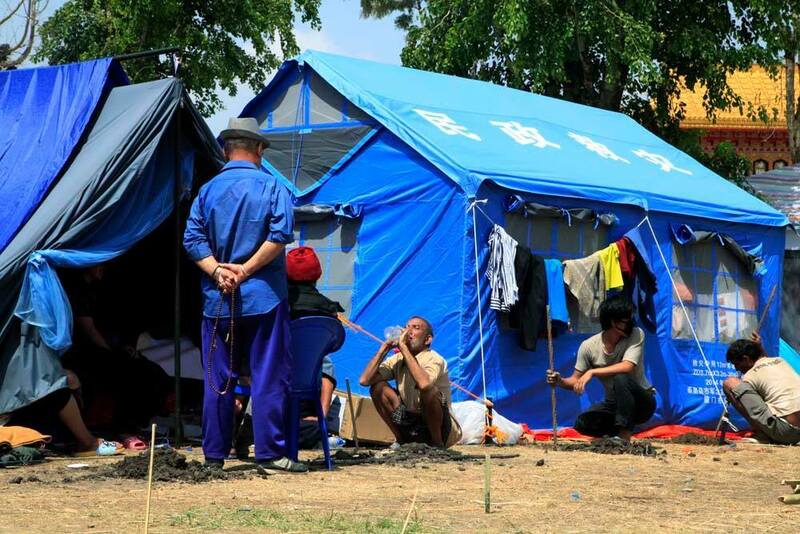 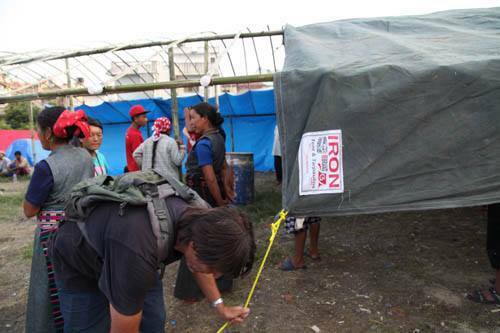 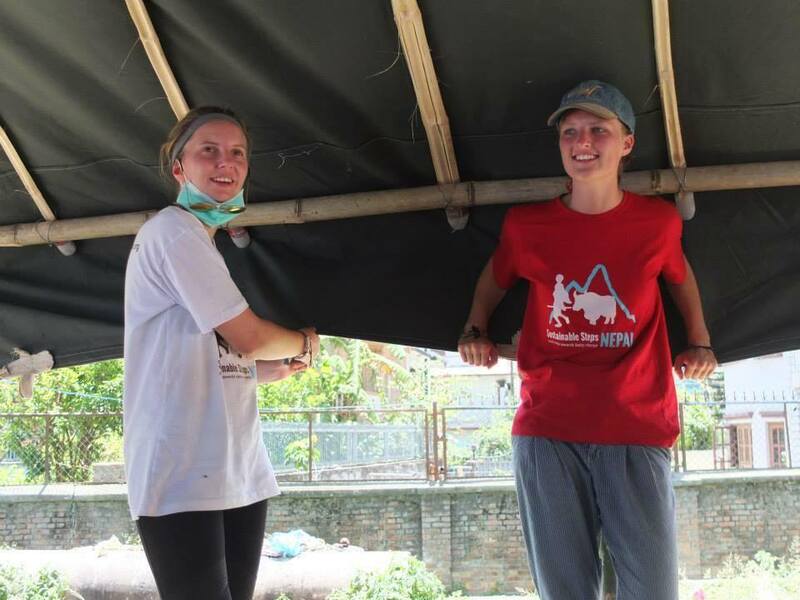 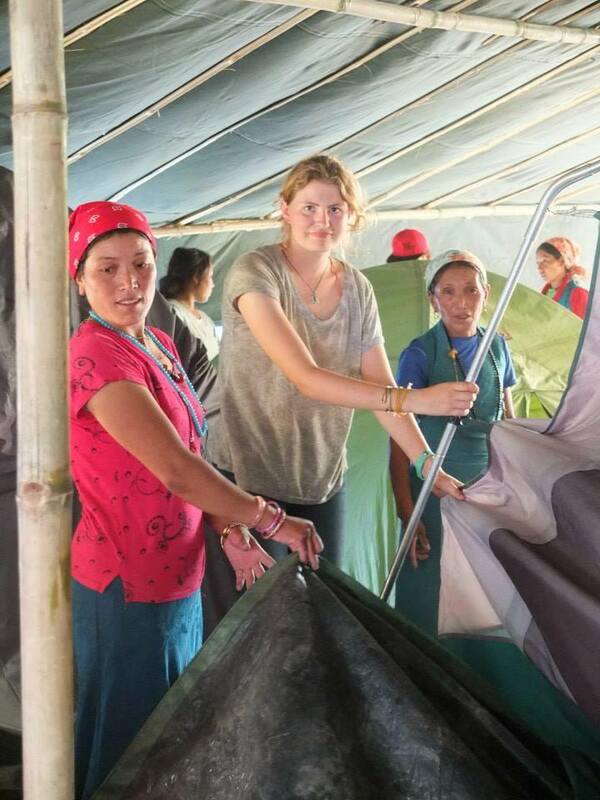 Volunteers from Hugging Nepal, a Spanish NGO, constructed a shelter for the 30-40 villagers previously. 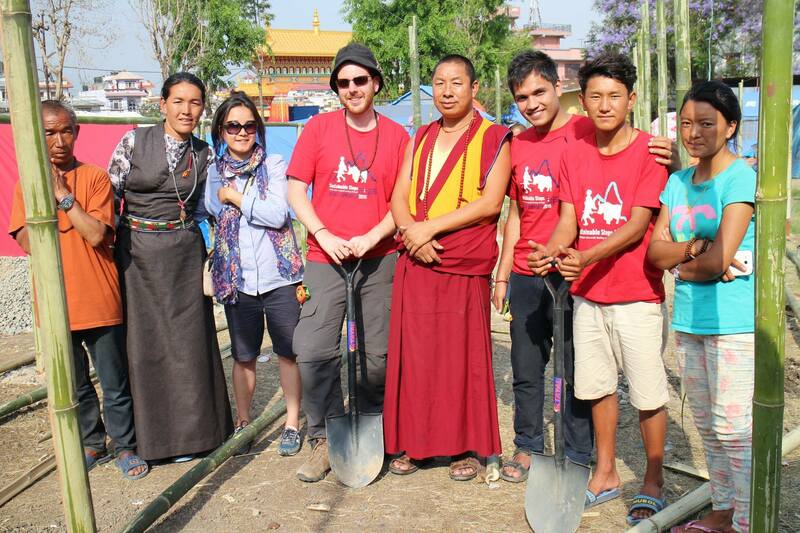 They came to visit the Yellow Gompa to have a look at the shelters SSN built and to share designs, ideas and tools. The shelter was finished last week. 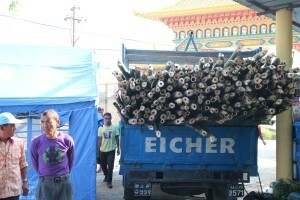 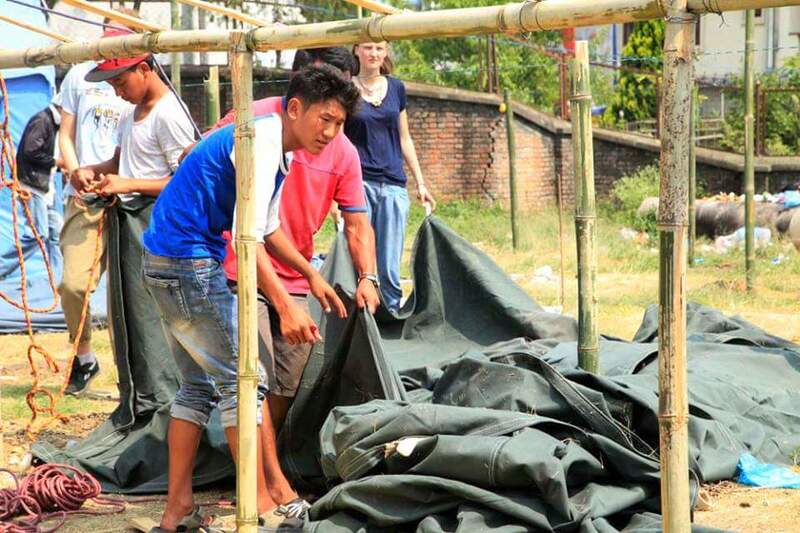 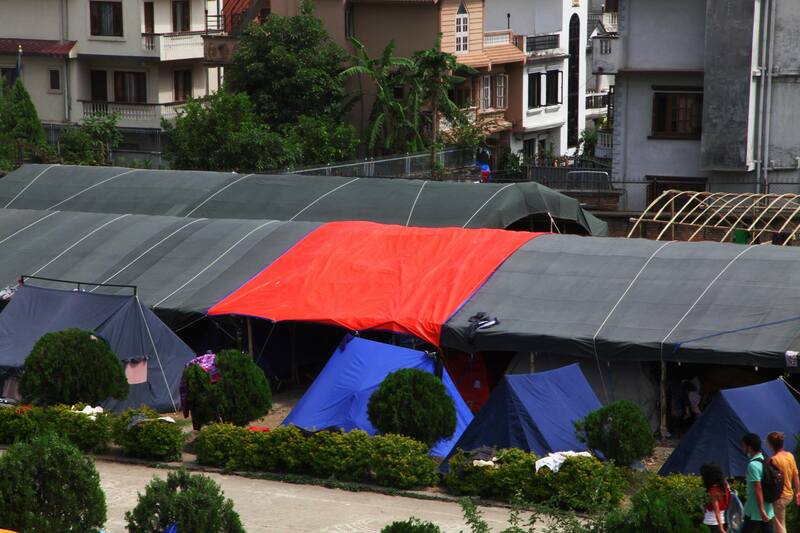 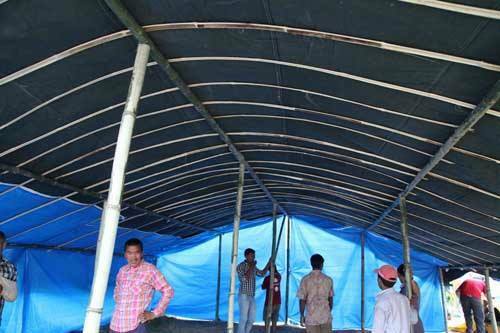 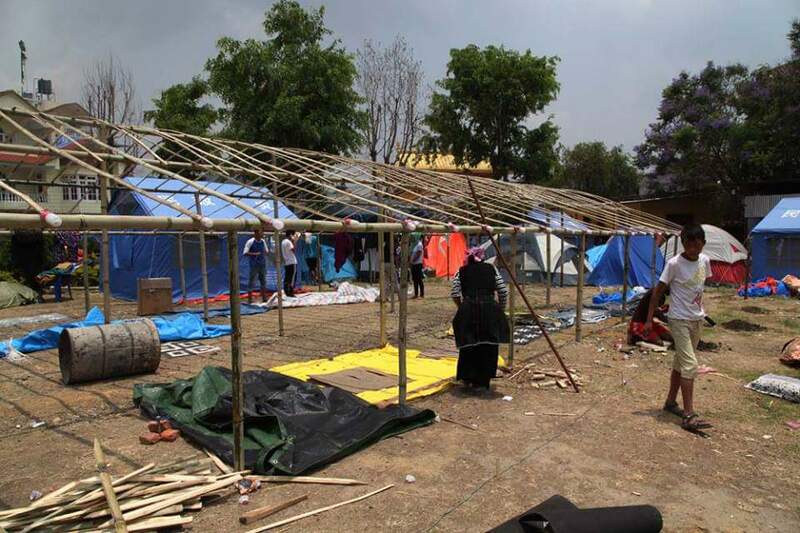 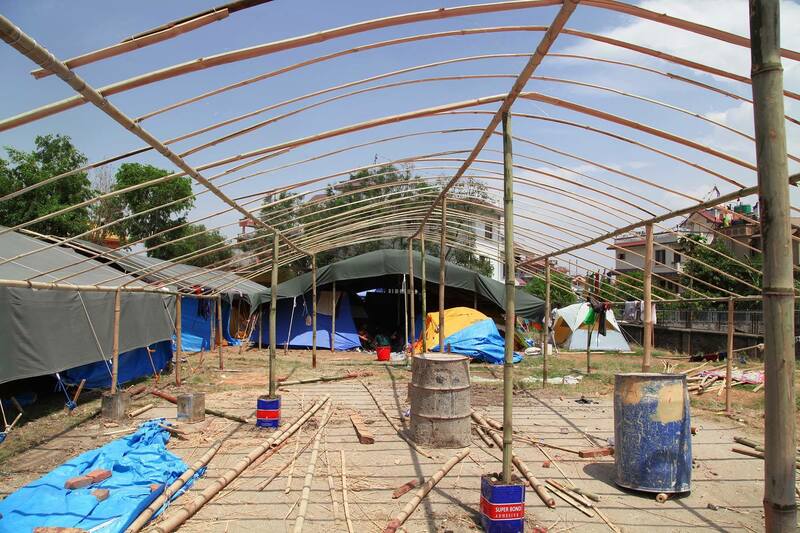 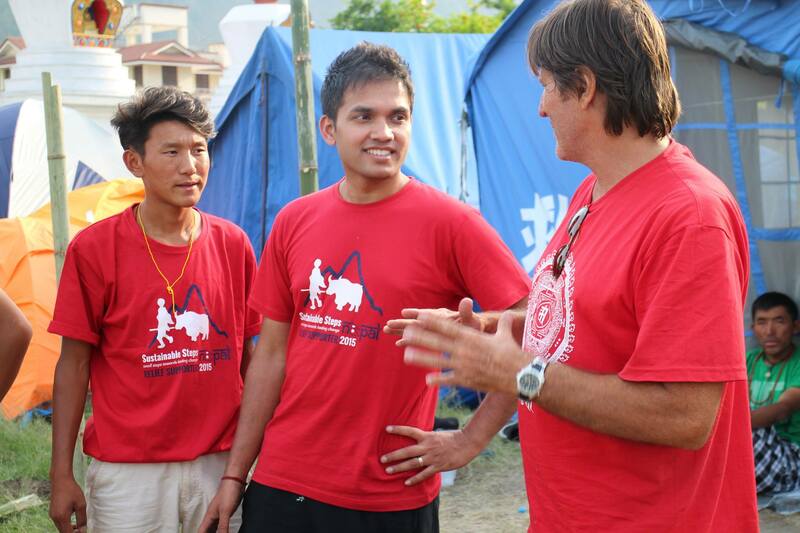 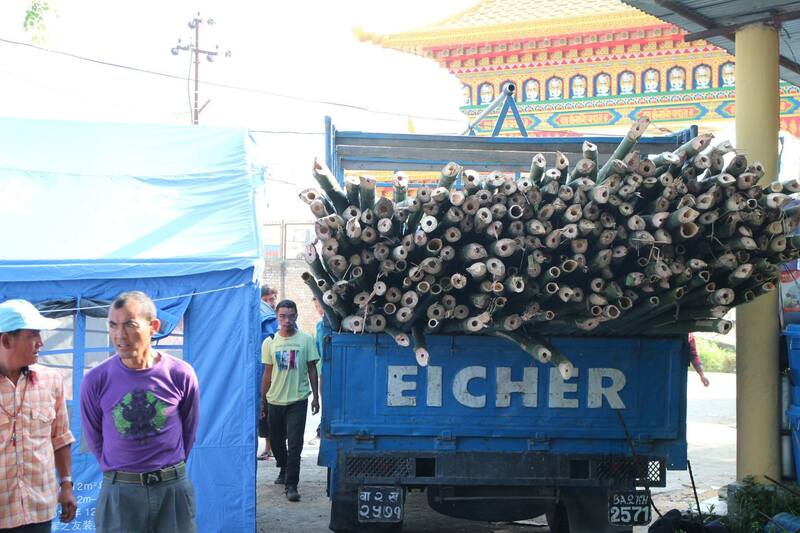 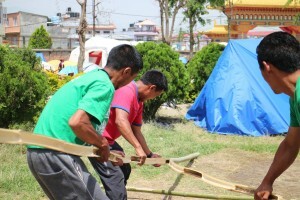 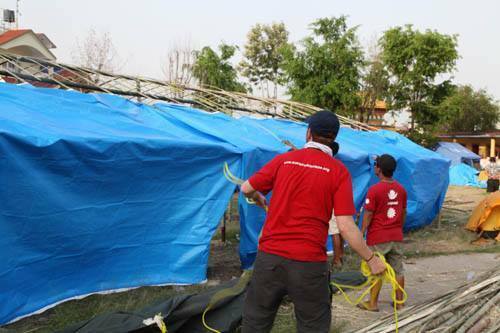 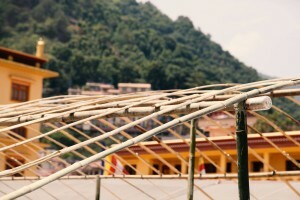 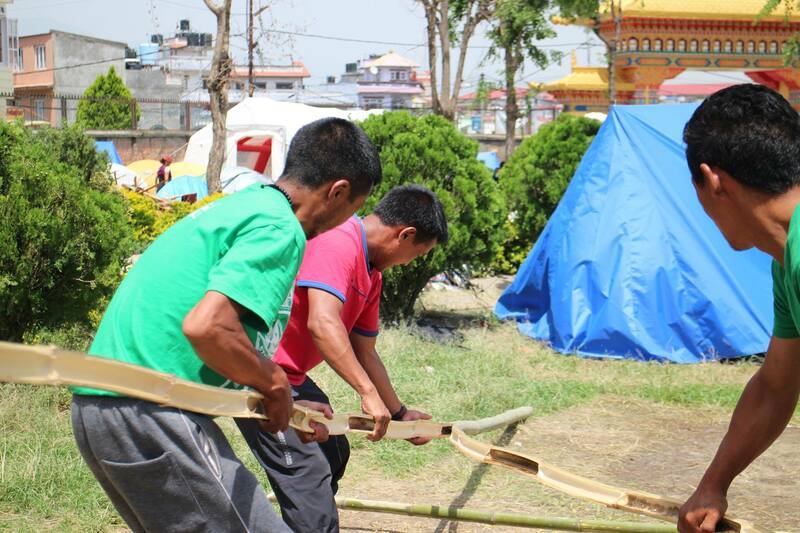 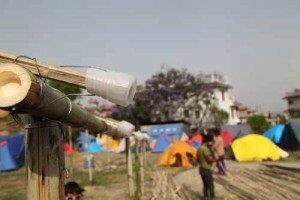 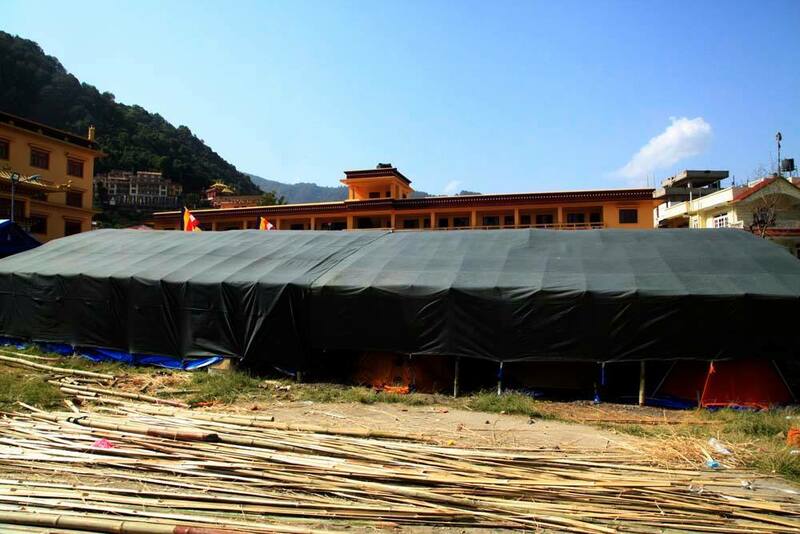 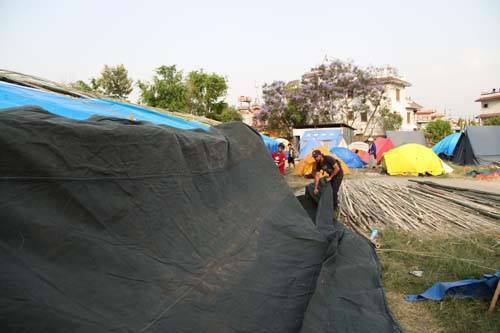 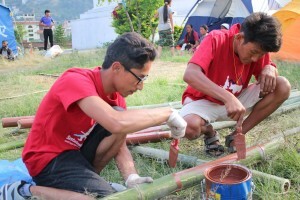 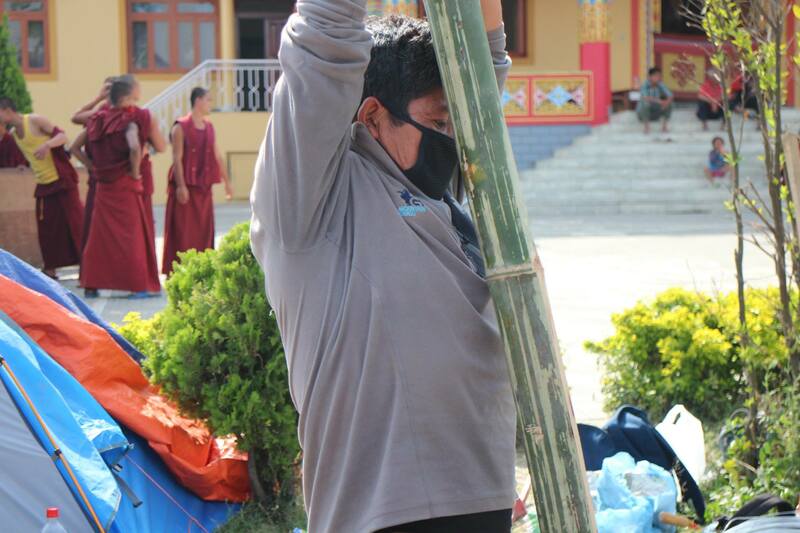 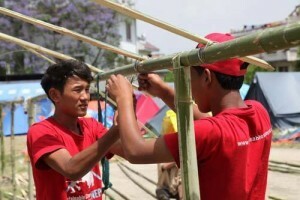 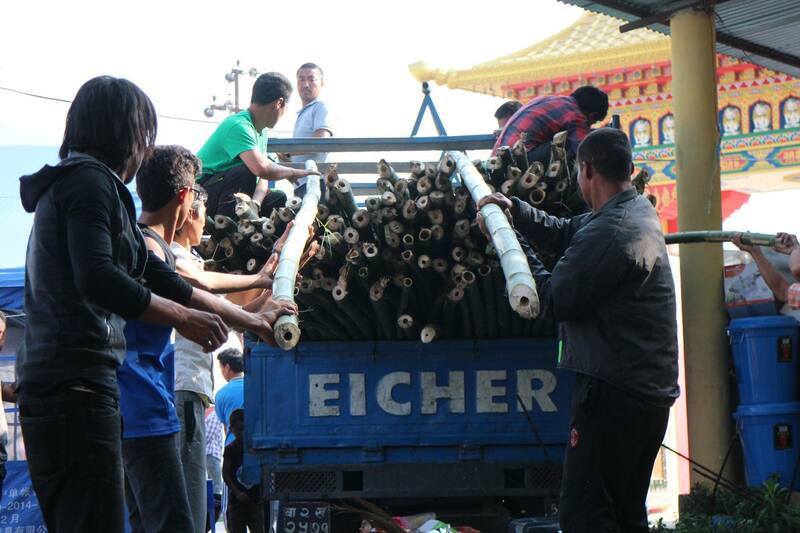 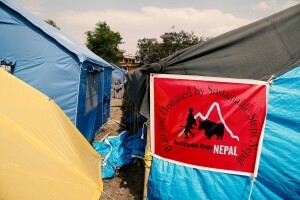 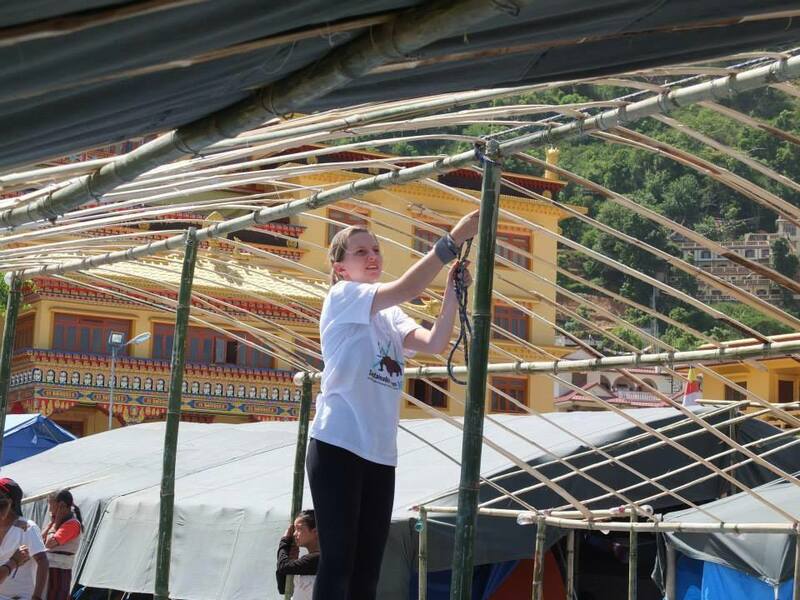 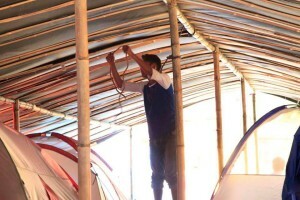 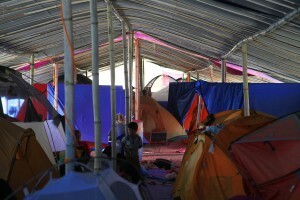 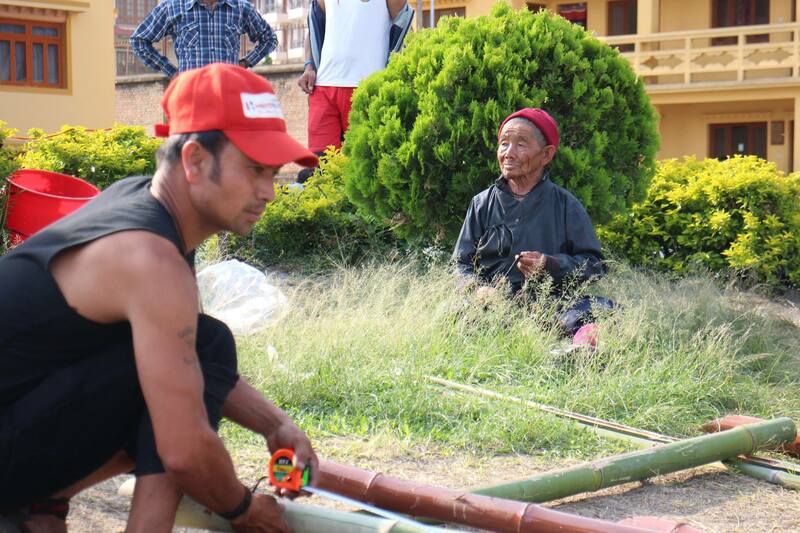 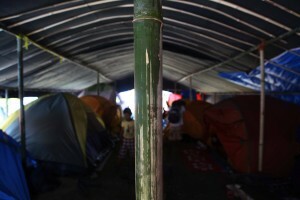 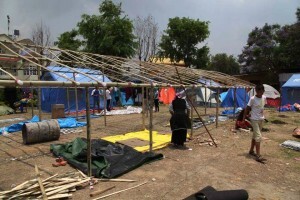 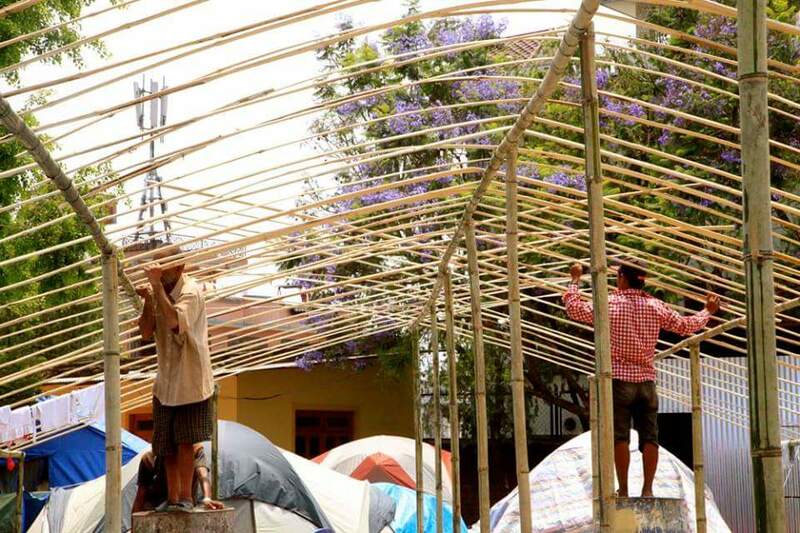 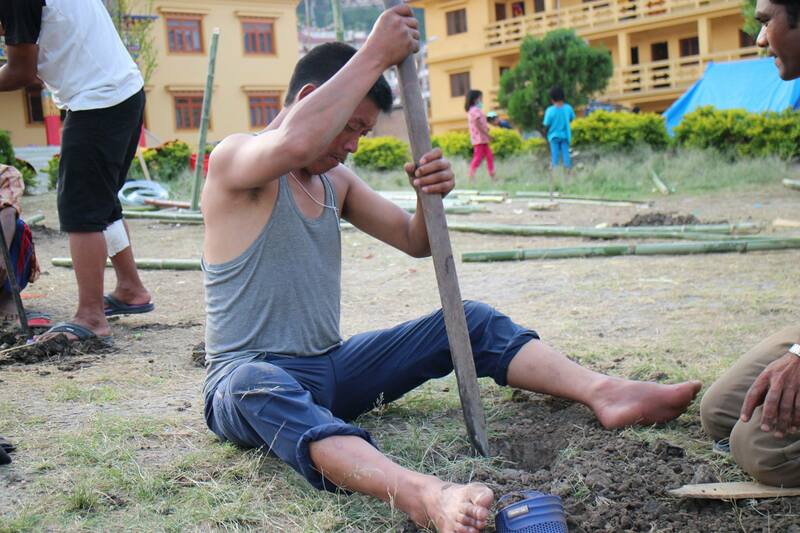 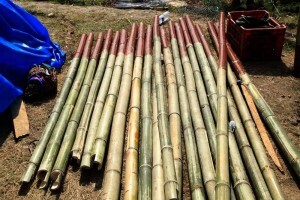 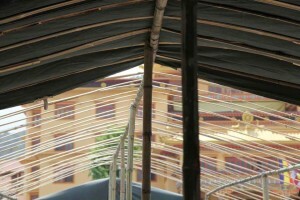 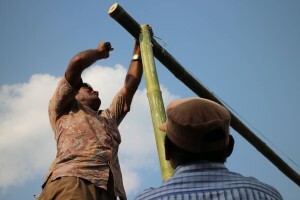 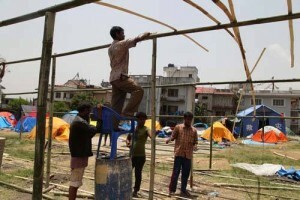 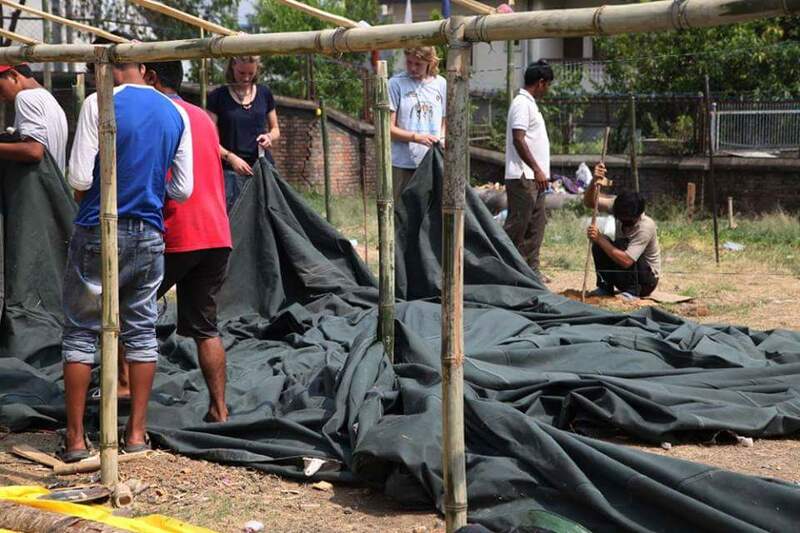 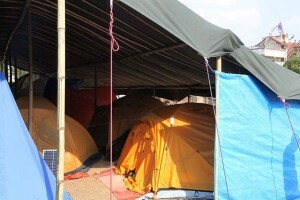 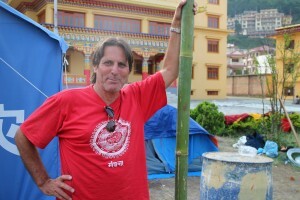 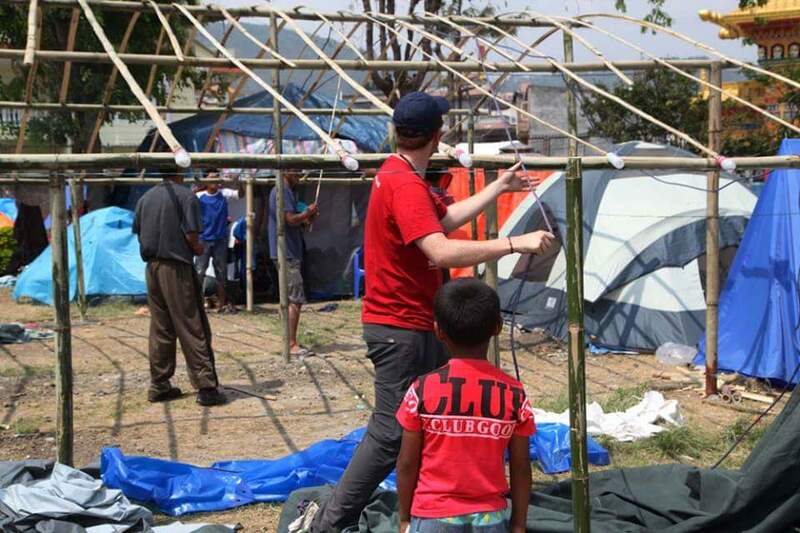 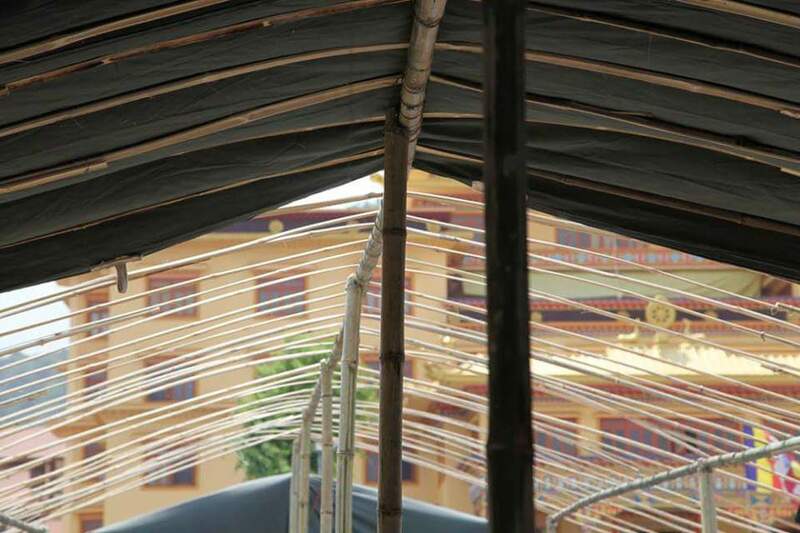 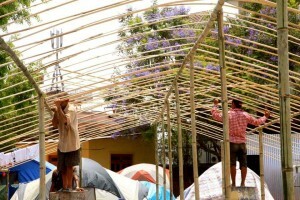 SSN donated bamboo for the frames, and Tents for Nepal donated canvasses. 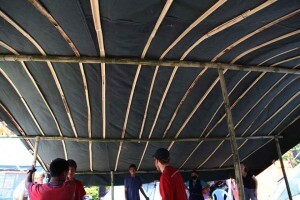 It has netting around the sides instead of tarps, so it stays much cooler. 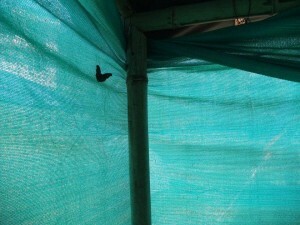 However, there seems to be small fixes that need to be done to prevent mosquitos getting in through the small holes. 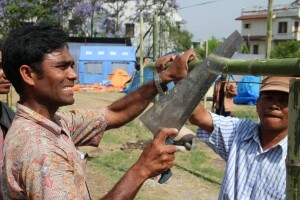 It also has other functional uses. It is a study space for the children after school and a communal eating area. The shelter is much cooler than their tents are during the day, so everyone’s quite happy with it. 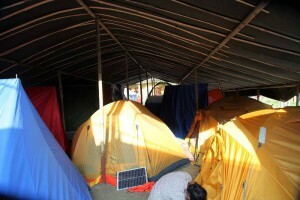 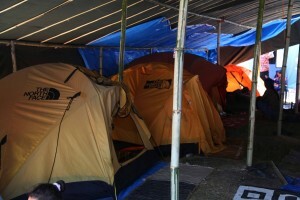 Plus, it’s got lights and a TV, so no wonder they’re staying in Kathmandu until after the monsoon!